Roll had his summer bath yesterday and it was a great day for it! 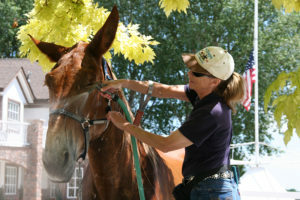 It was 100 degrees! Today it was a little cooler, so we opted to go to the dressage arena and work in the hourglass pattern on the lead rope in his “Elbow Pull” and surcingle. The twisting in his right hind foot was markedly better today after last week’s workout. 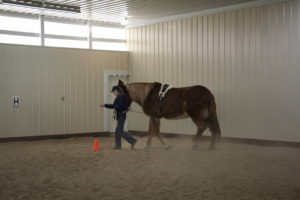 I am glad I made the call to go back to the leading exercises after his riding experience on May 6. 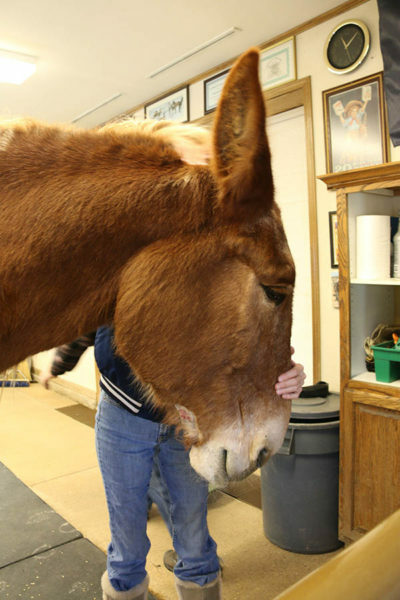 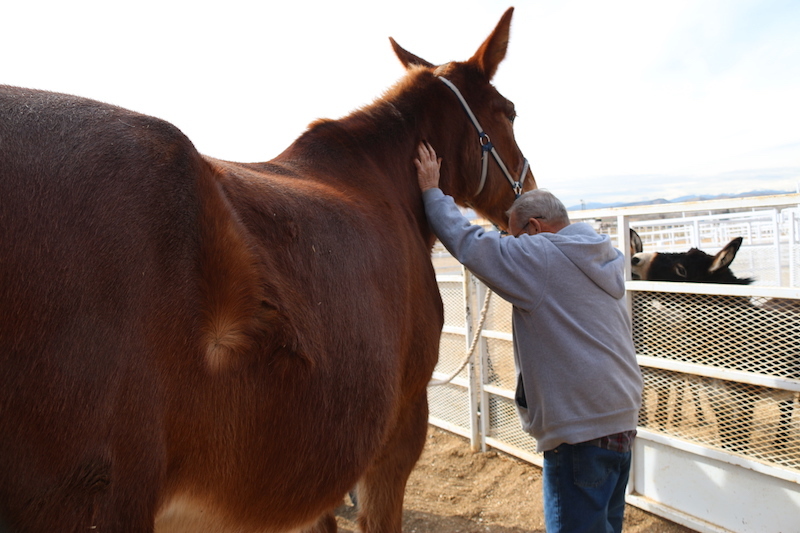 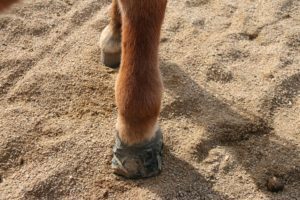 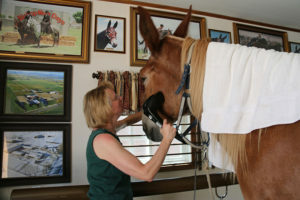 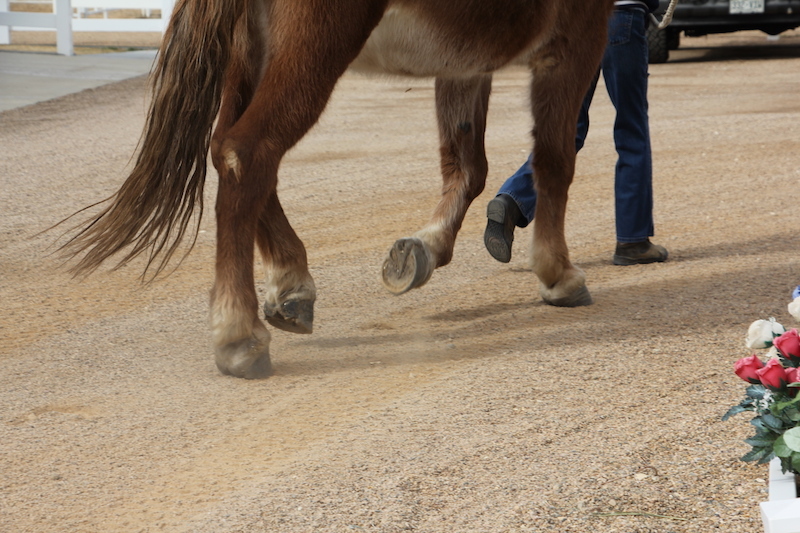 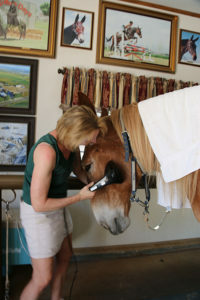 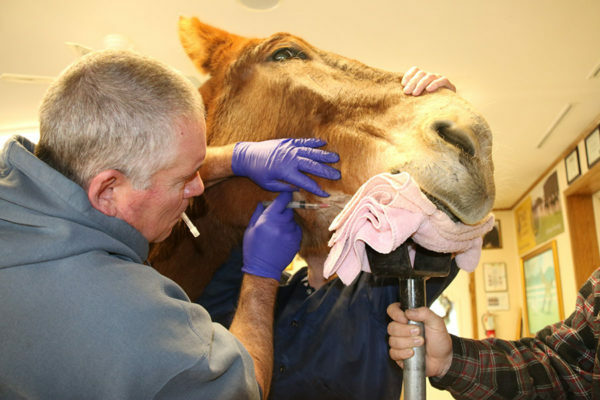 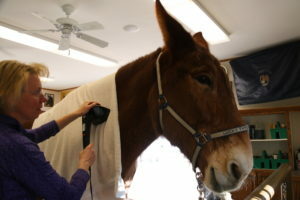 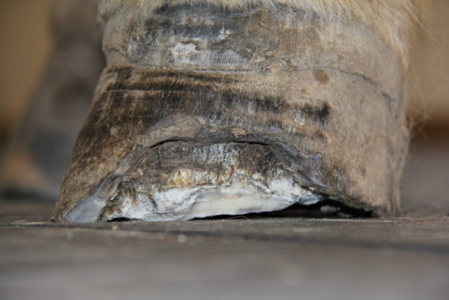 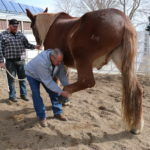 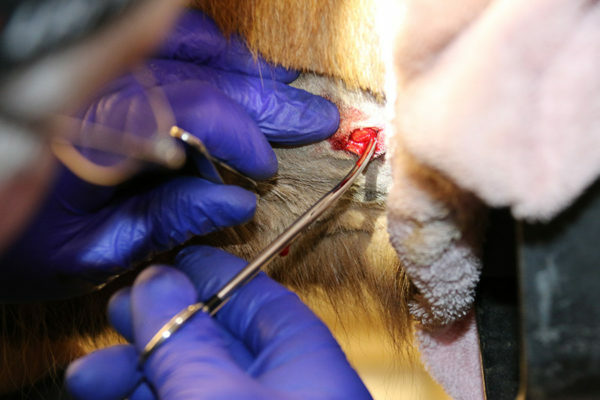 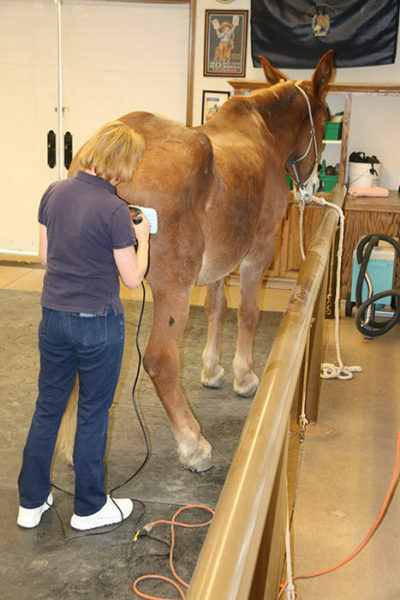 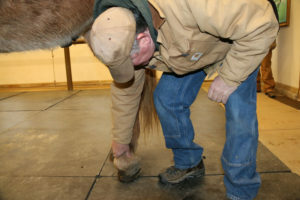 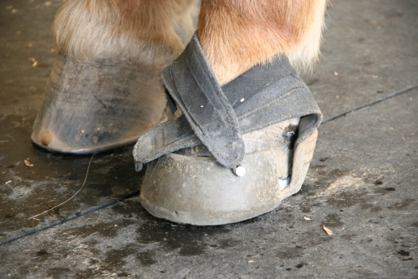 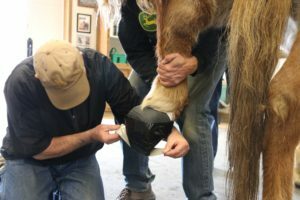 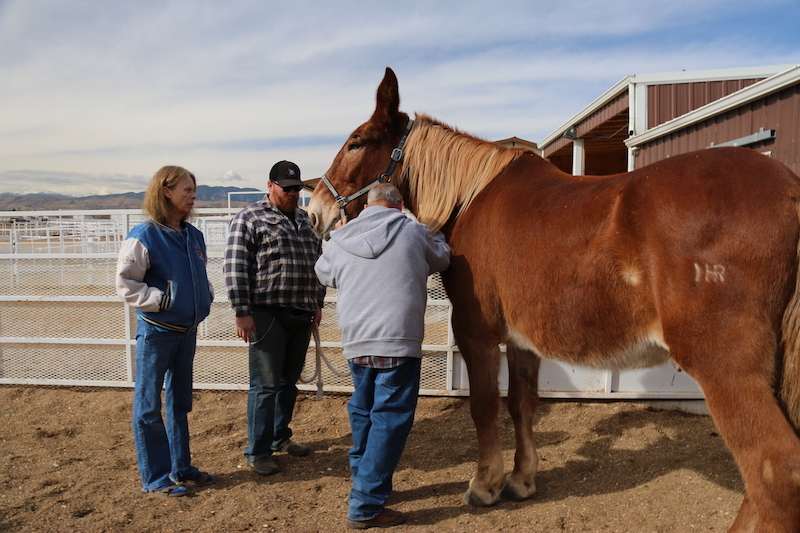 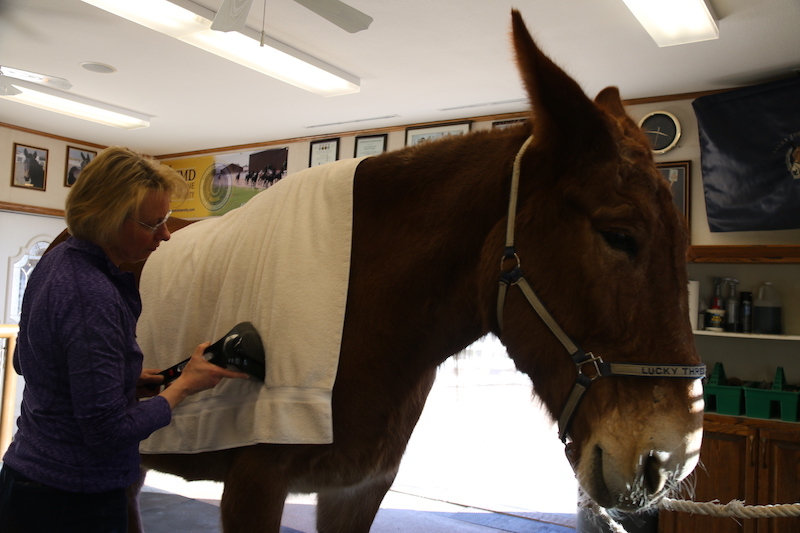 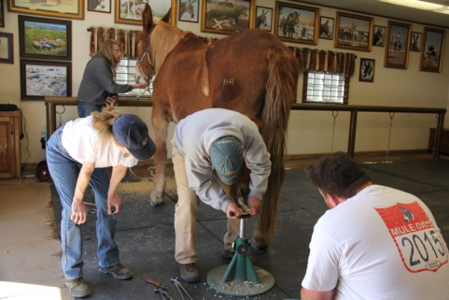 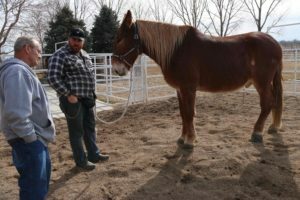 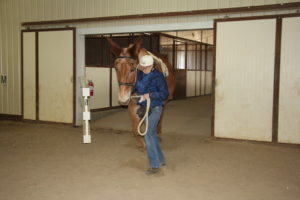 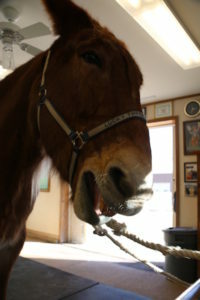 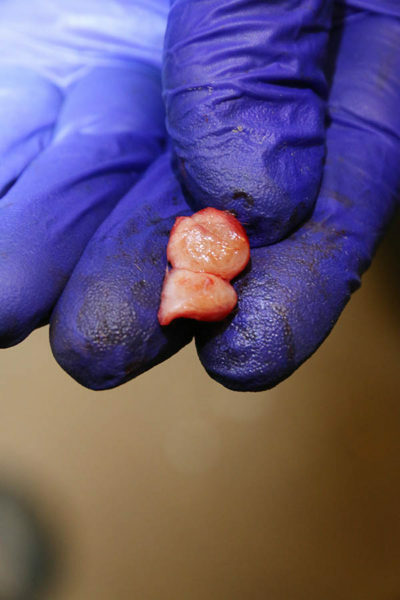 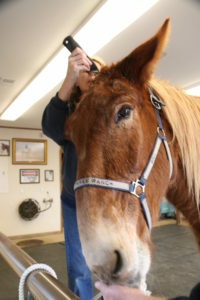 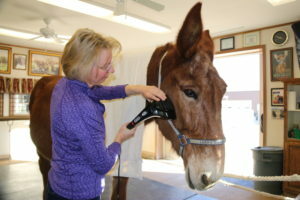 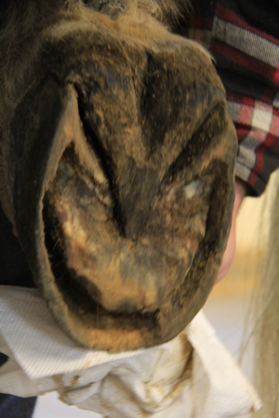 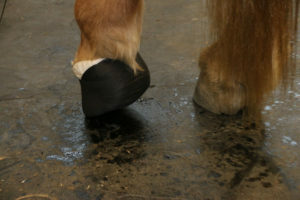 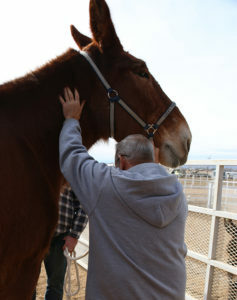 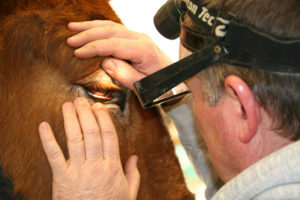 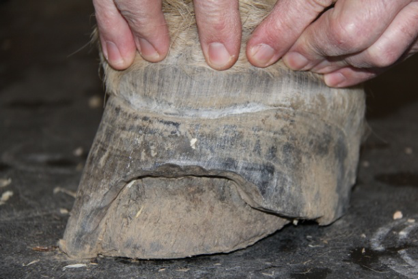 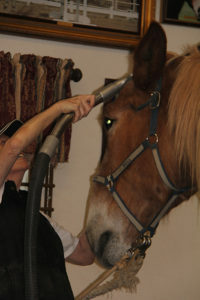 He felt sluggish and the right hind foot was not adequately supported and was twisting quite a bit. 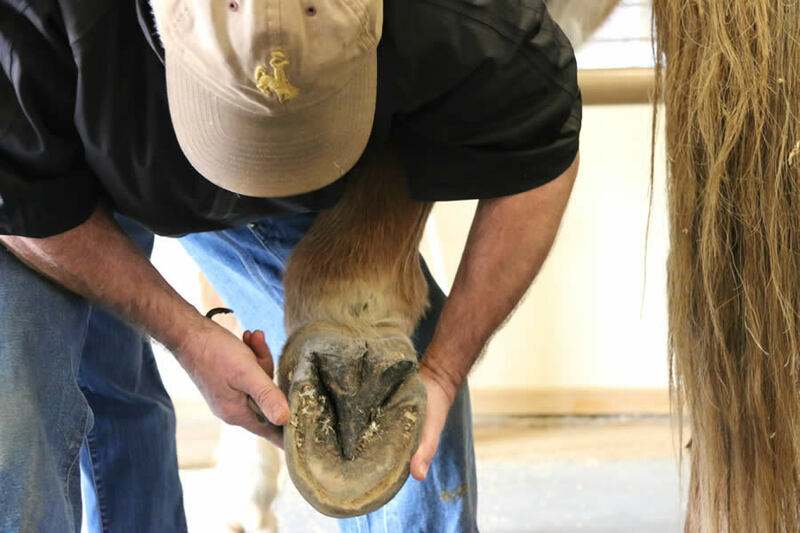 Going back to his core leading exercises for the past few weeks has greatly improved the musculature and corresponding soft tissues, ligaments and tendon that support the pastern and fetlock and the twisting has substantially subsided. He now has a much more upward balance! 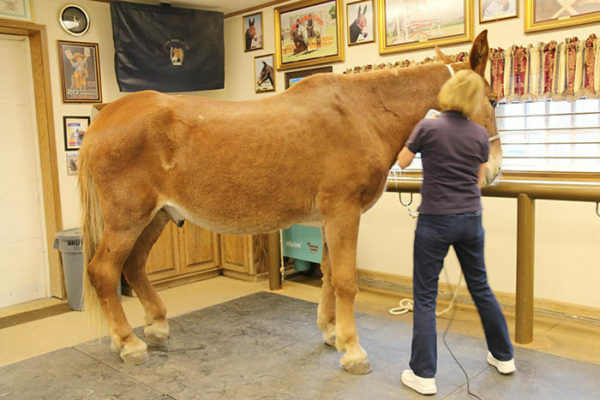 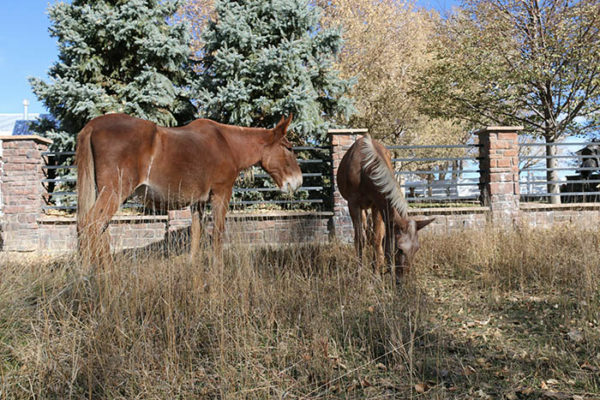 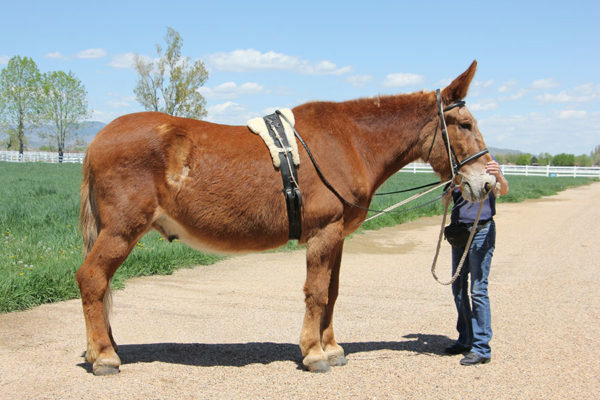 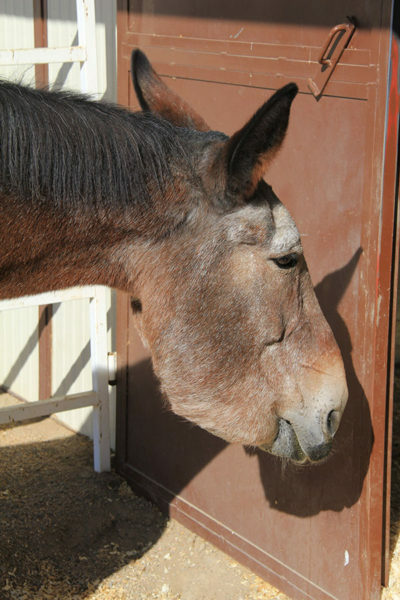 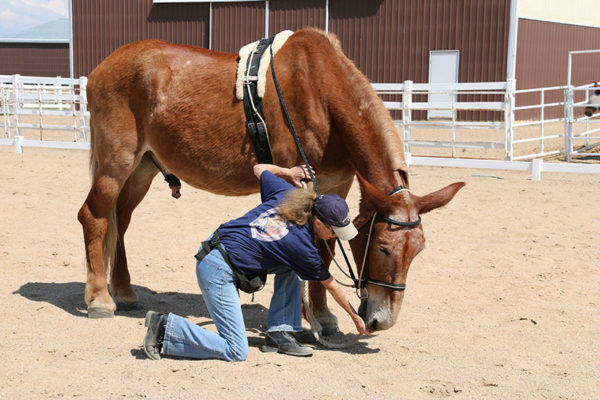 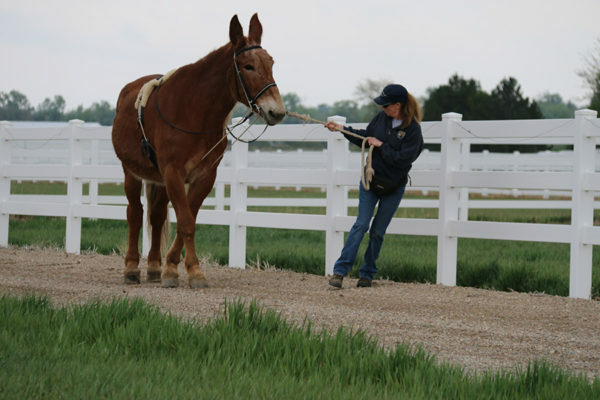 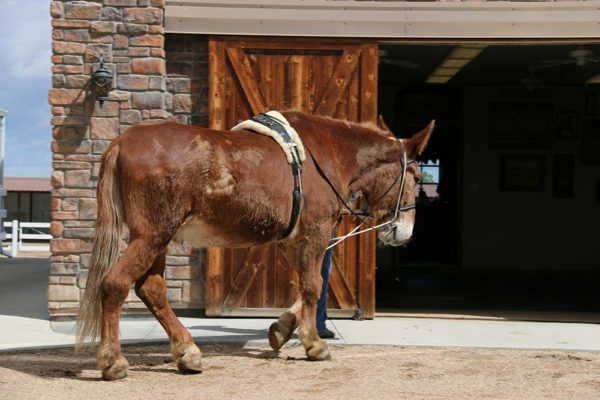 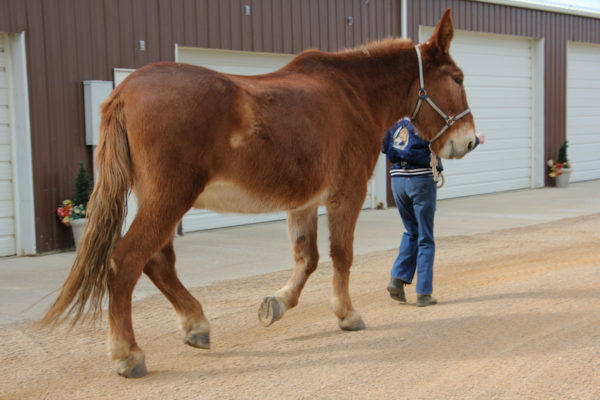 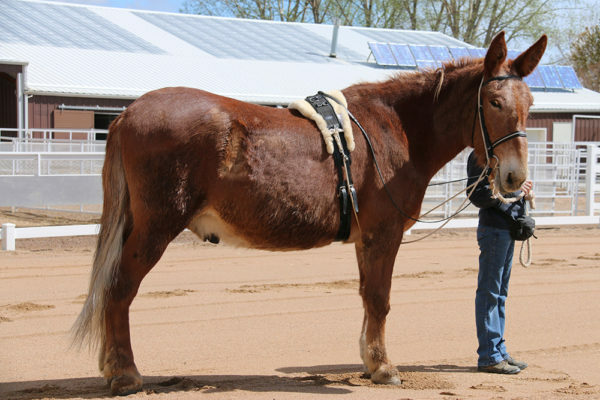 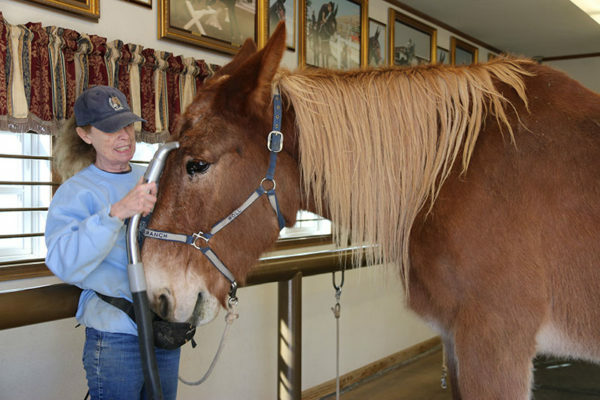 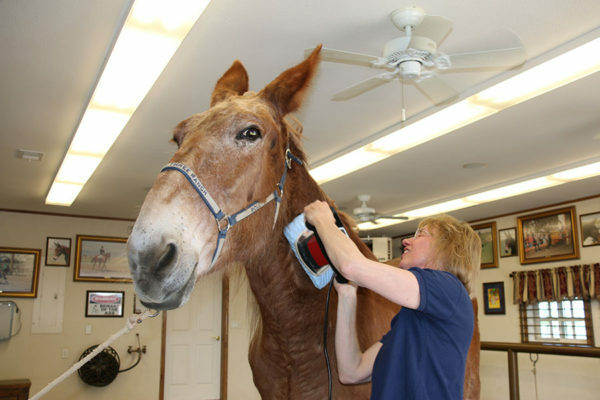 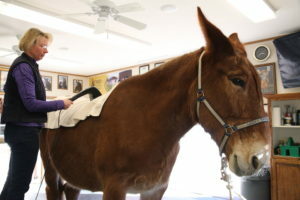 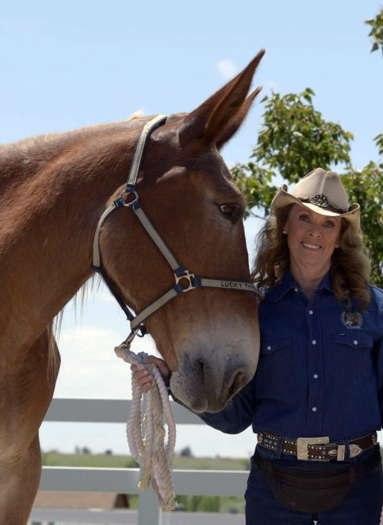 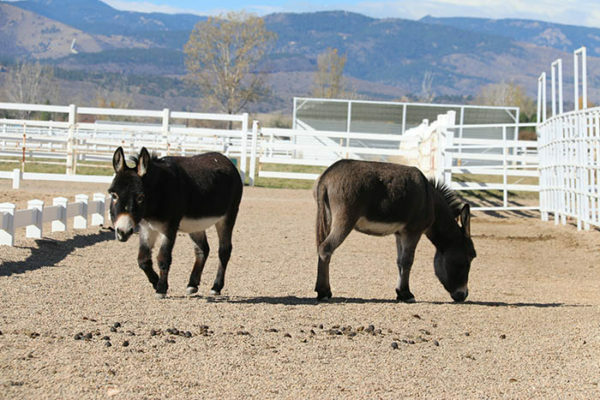 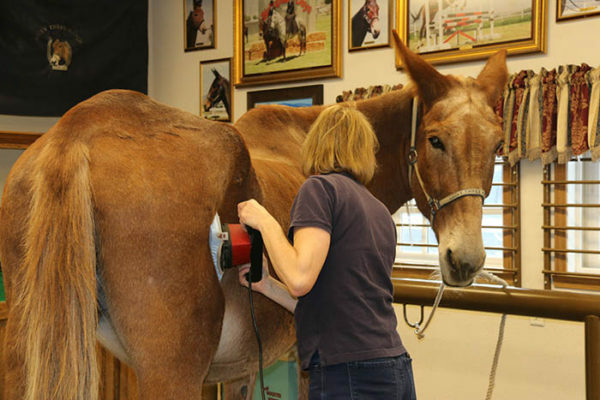 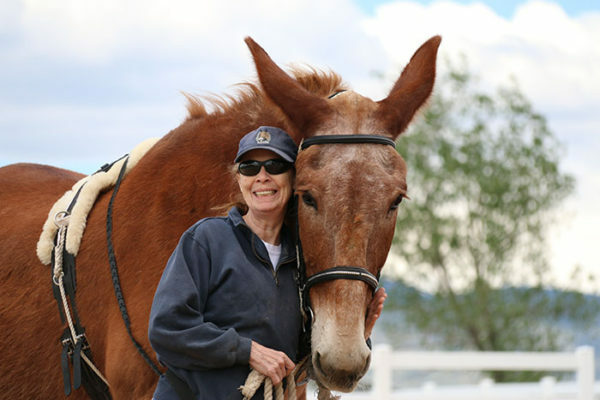 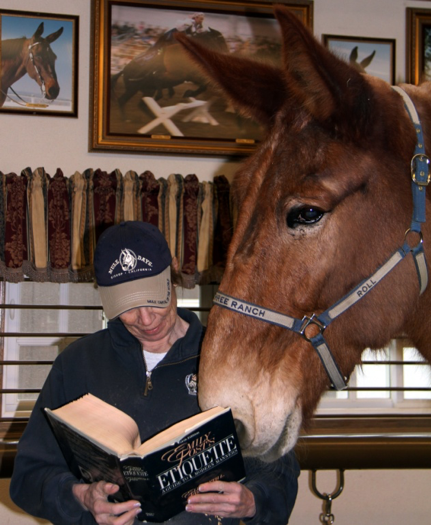 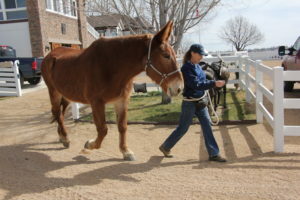 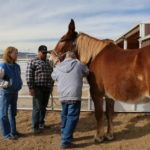 I find it amusing that these animals really DO mirror what we do, so it is best to pay attention to what YOU are doing as well as what your mule is doing! 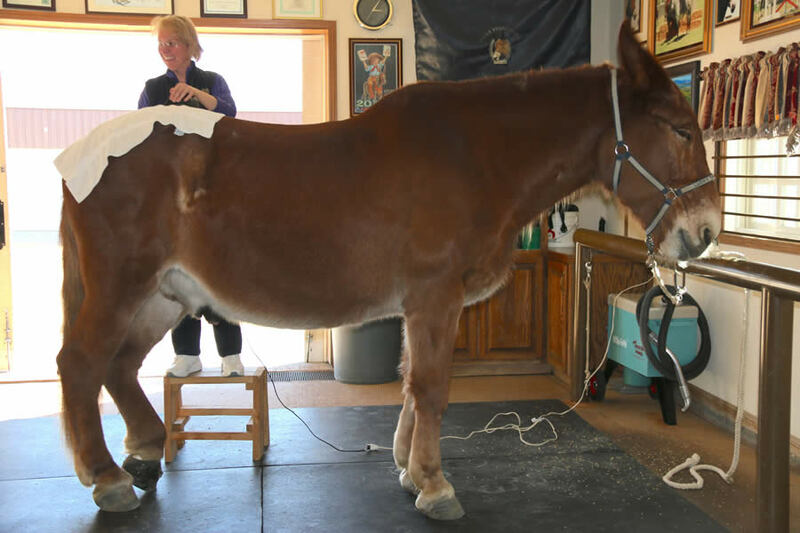 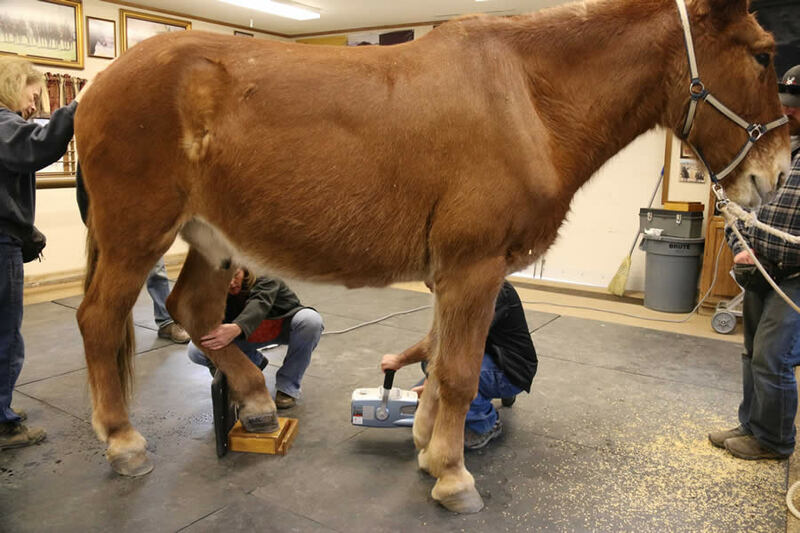 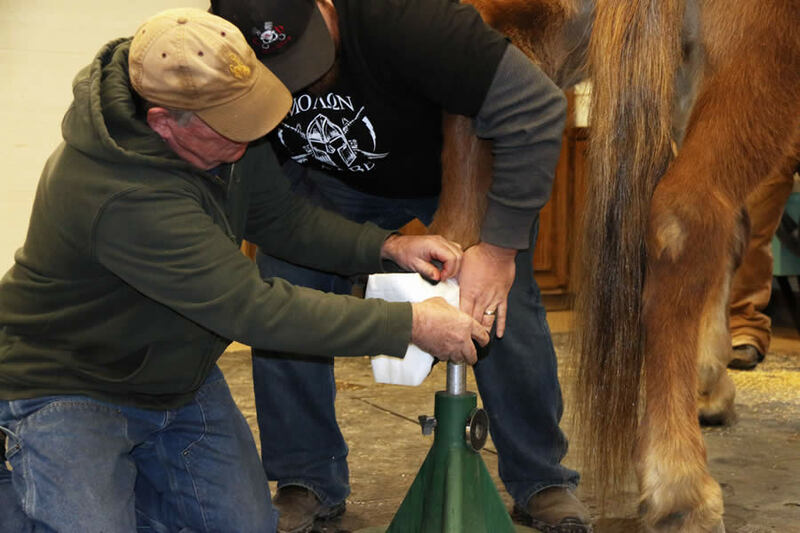 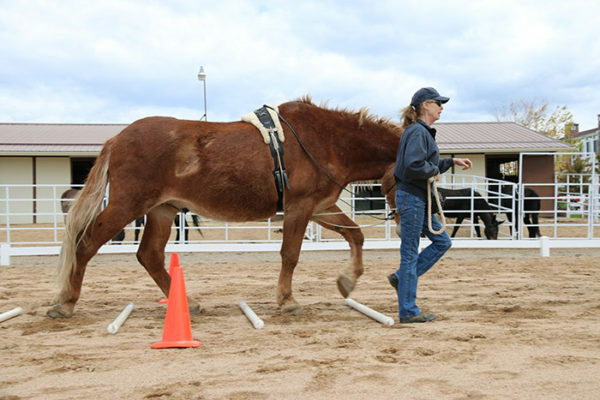 Because you can’t necessarily SEE core muscle development, it is hard to tell how much it can help the equine with his overall posture, balance and performance. 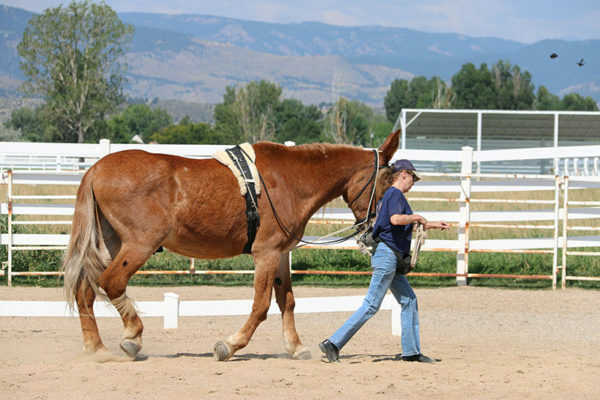 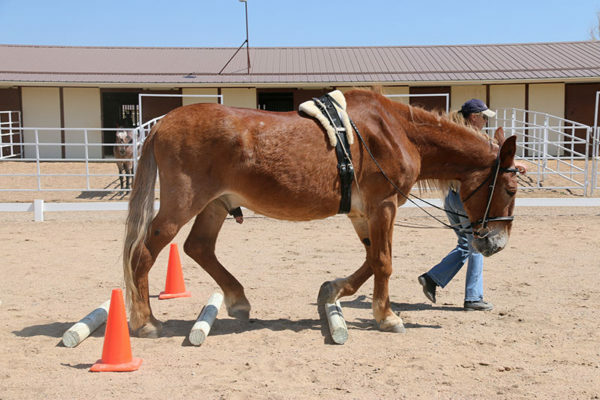 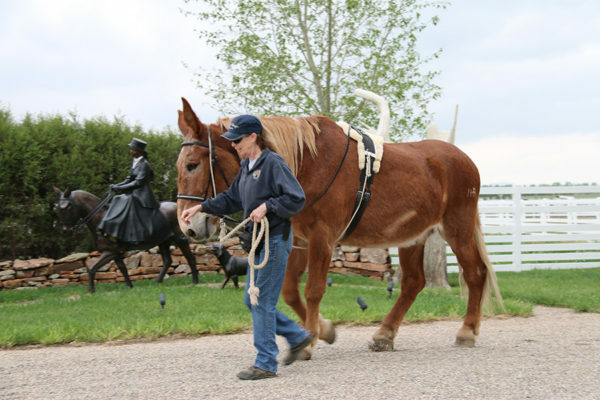 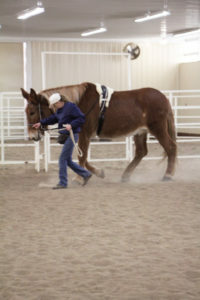 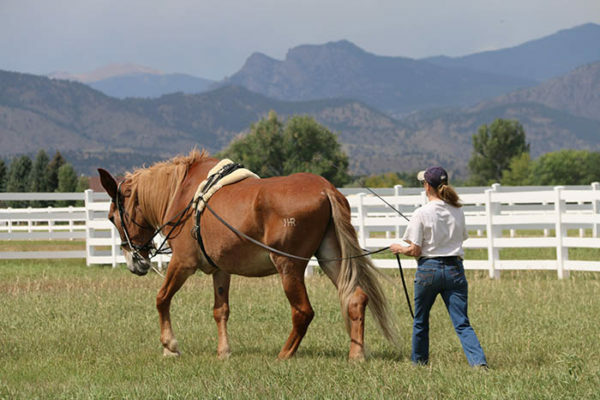 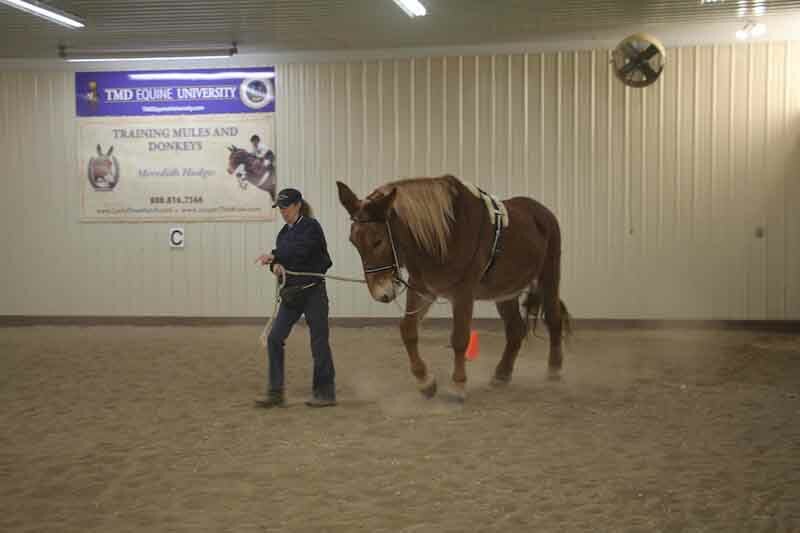 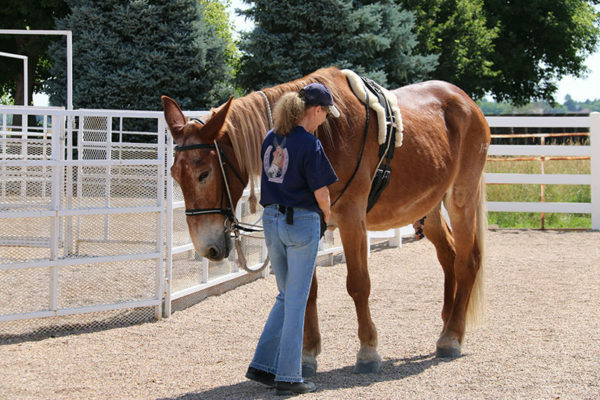 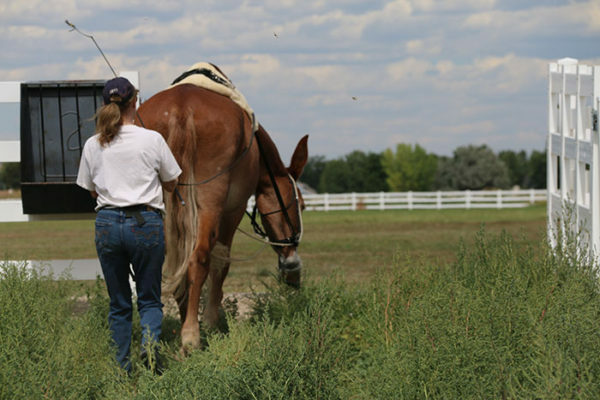 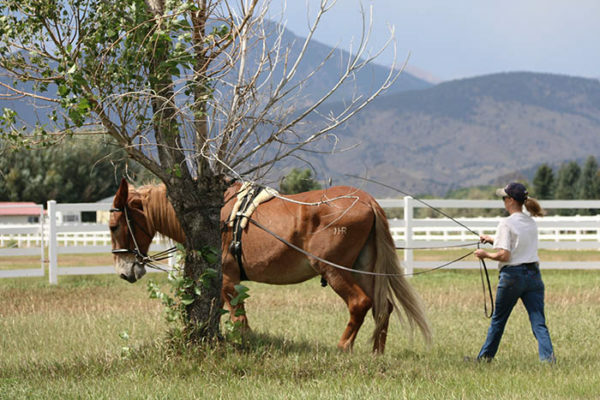 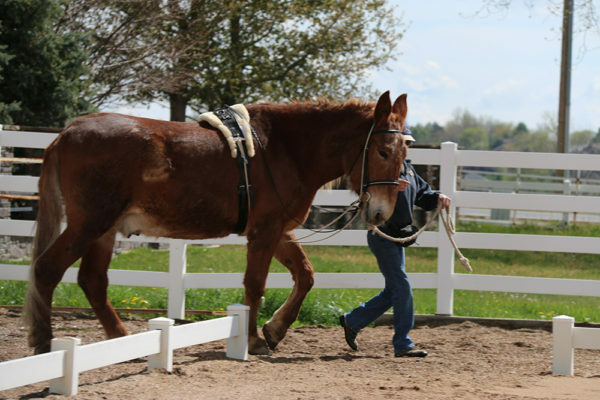 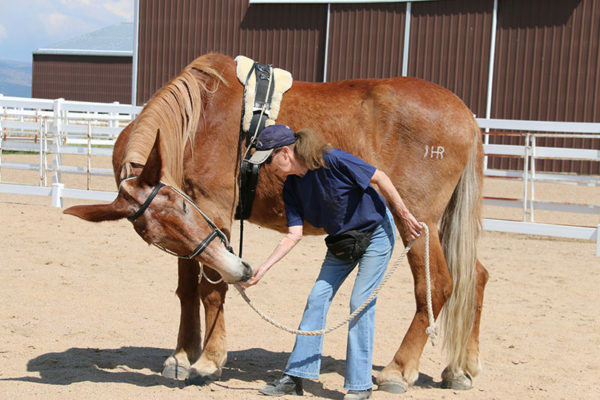 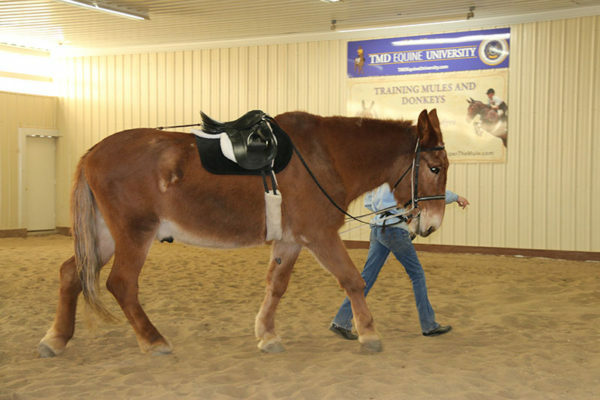 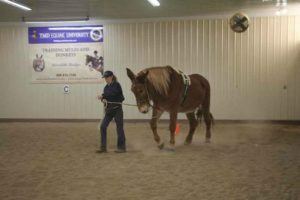 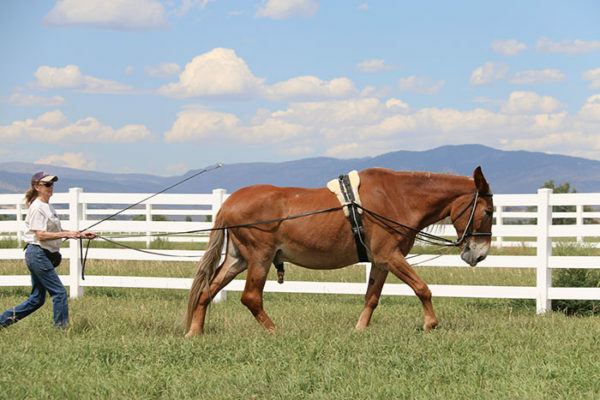 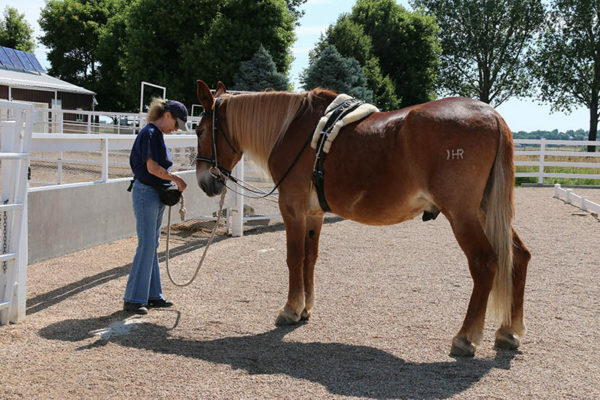 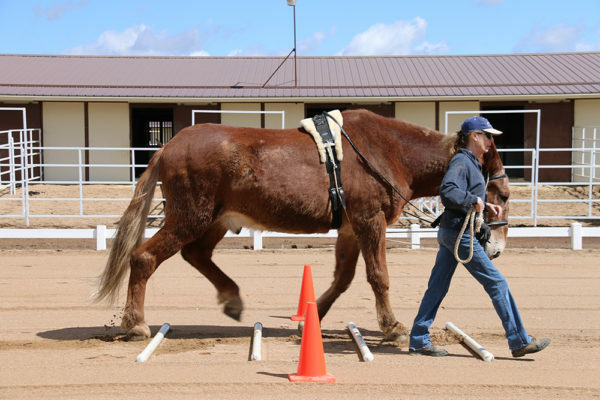 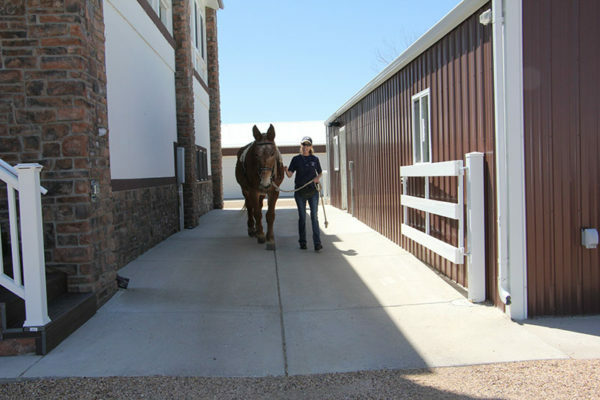 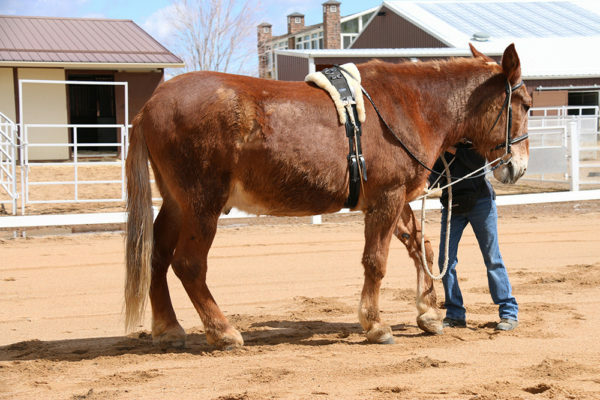 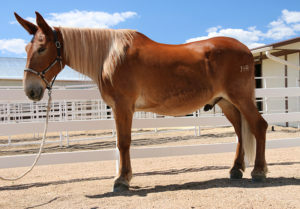 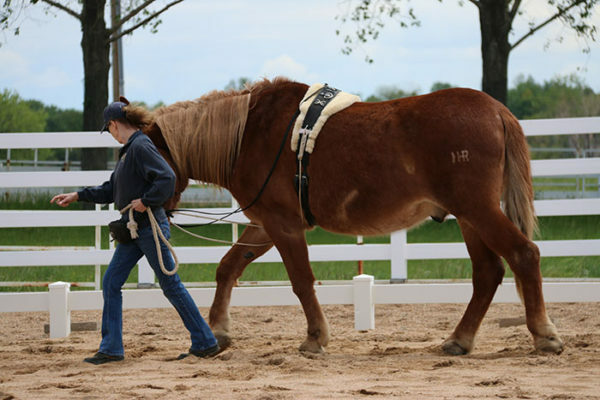 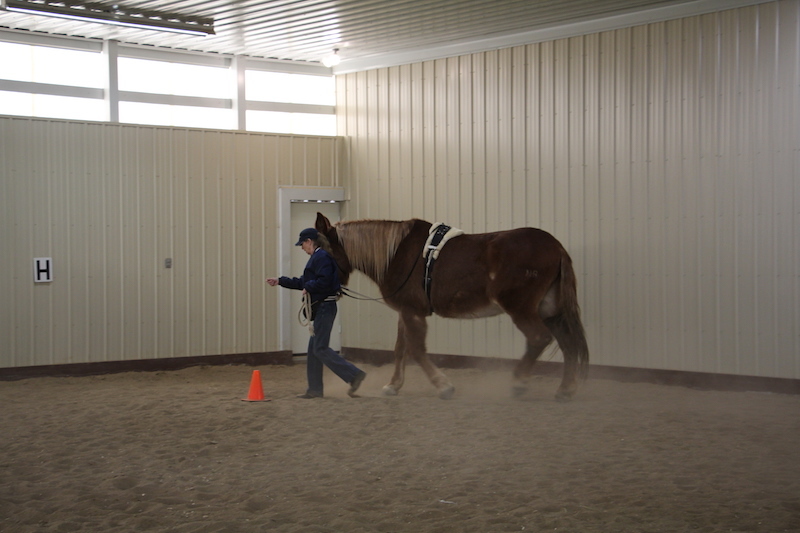 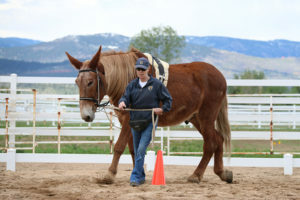 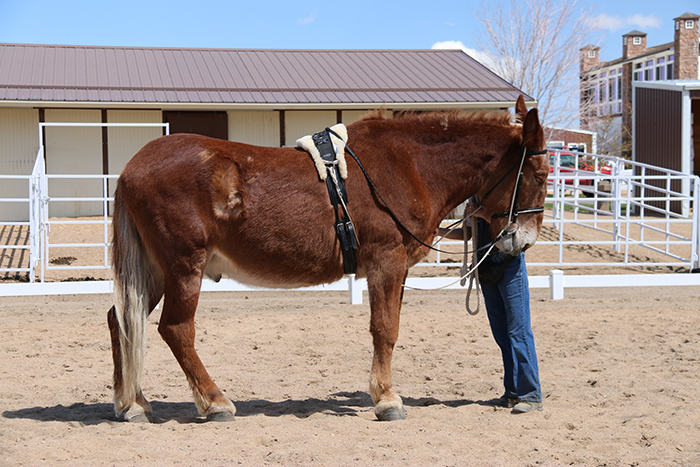 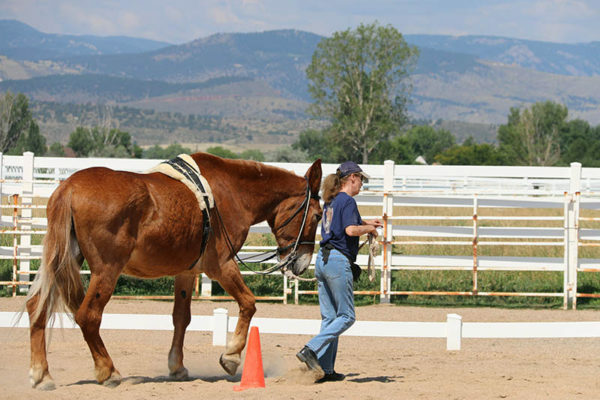 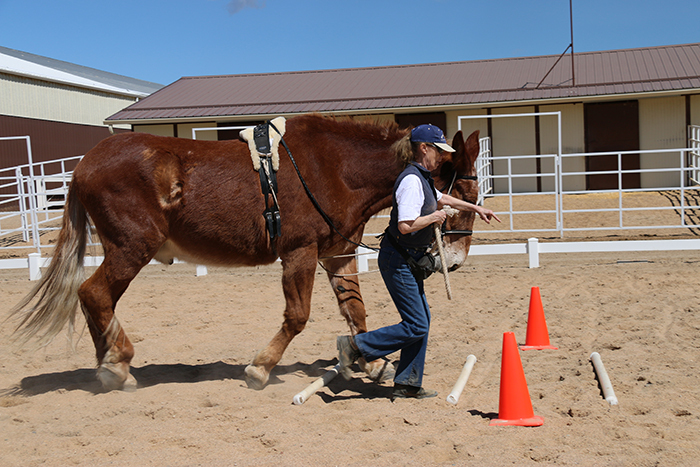 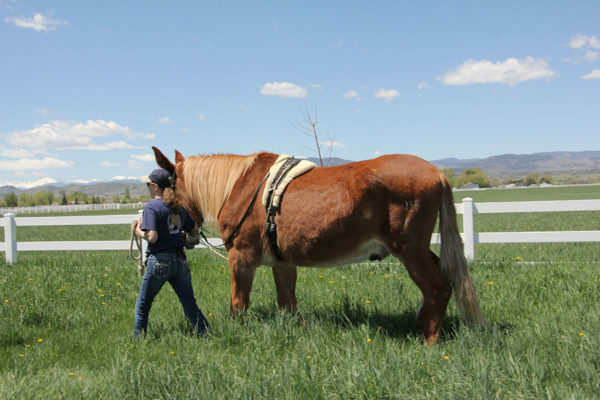 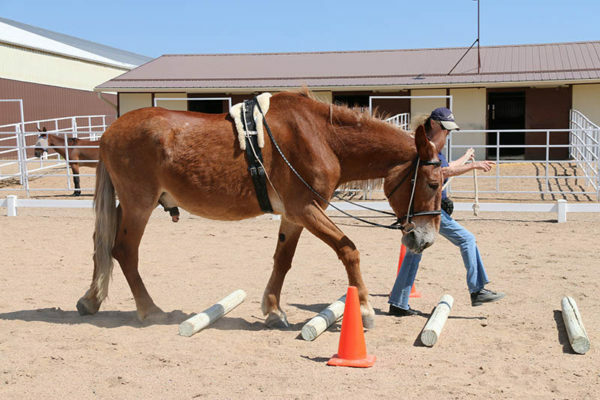 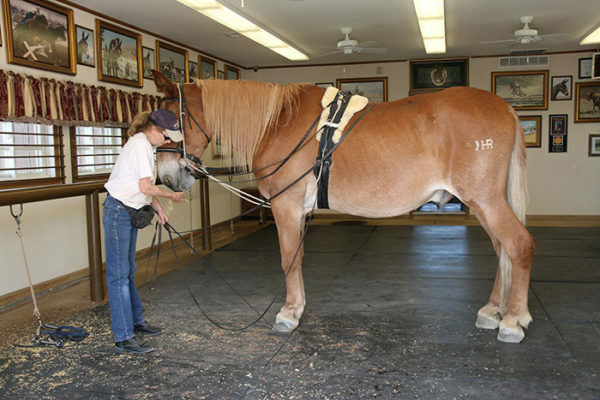 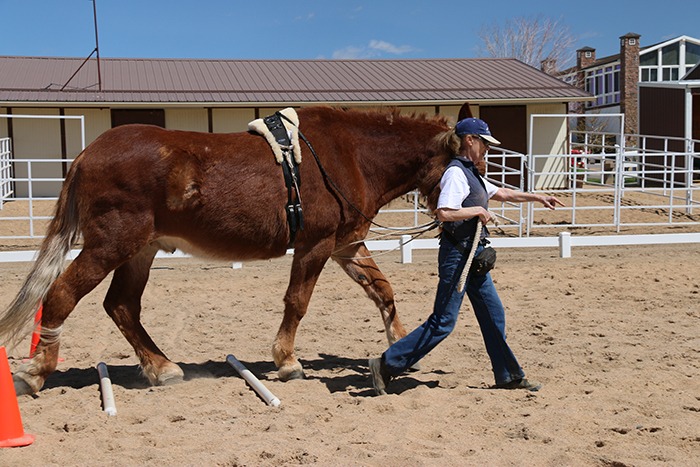 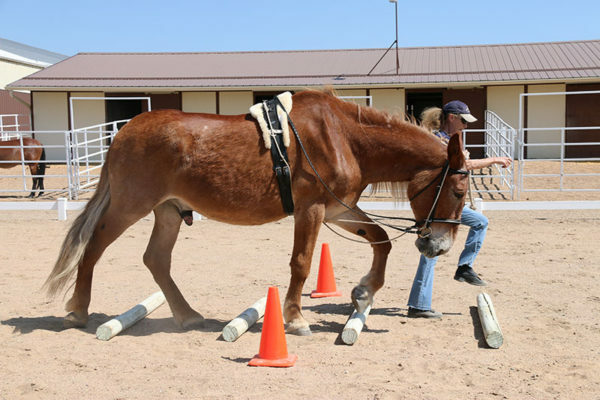 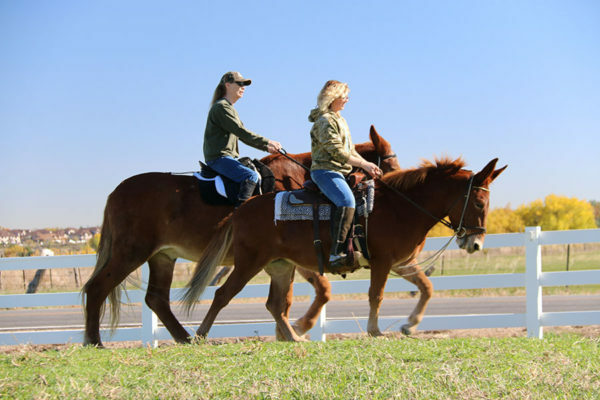 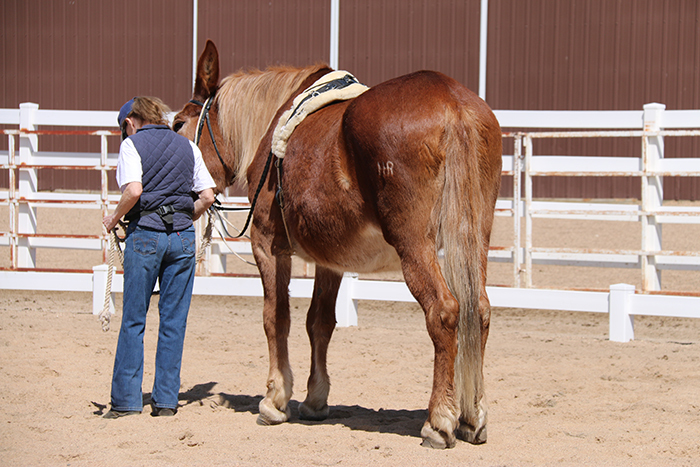 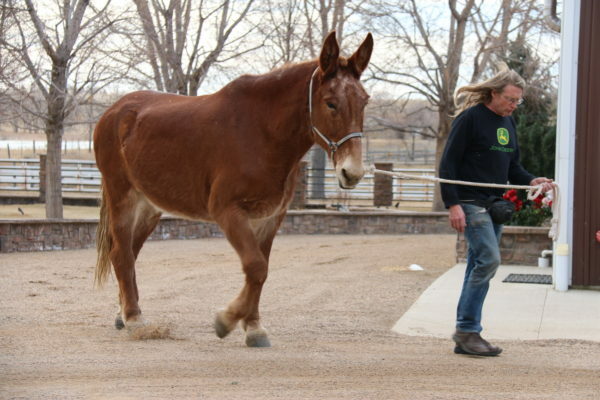 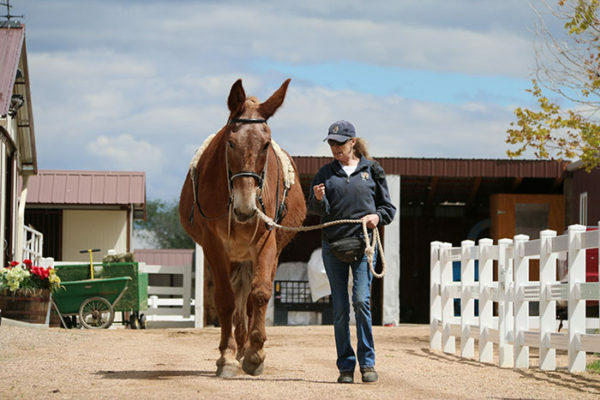 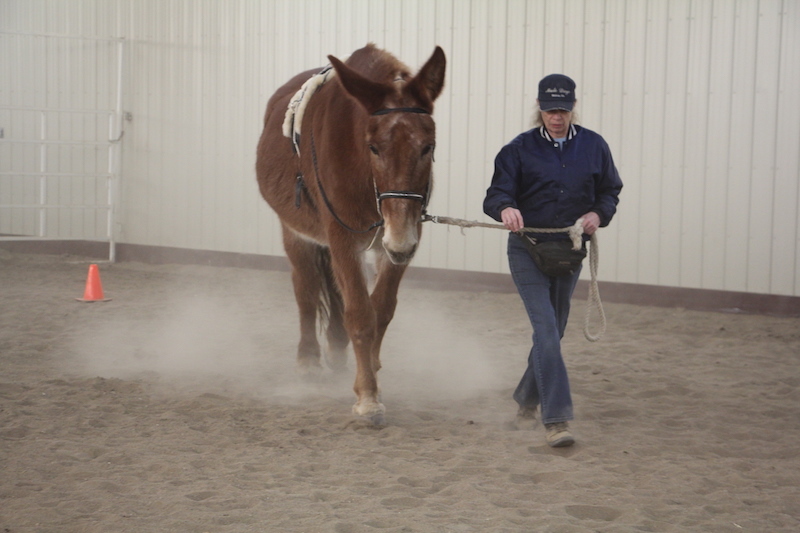 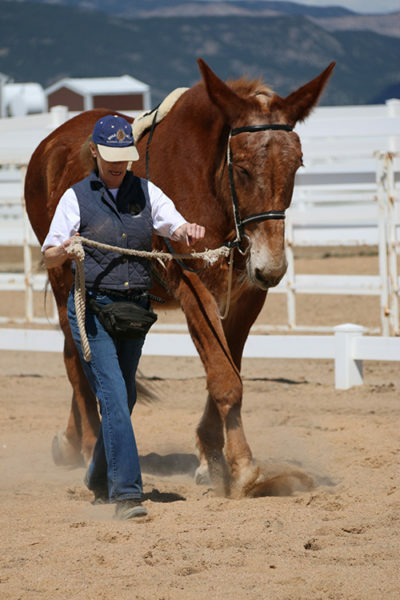 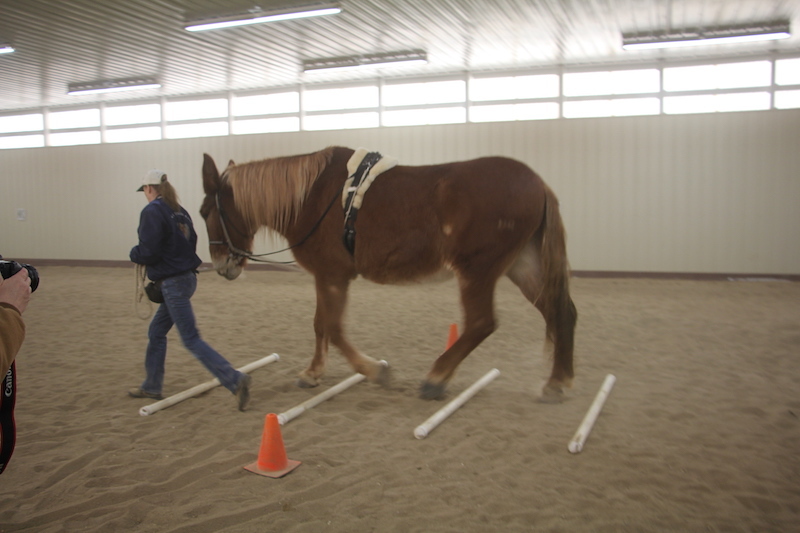 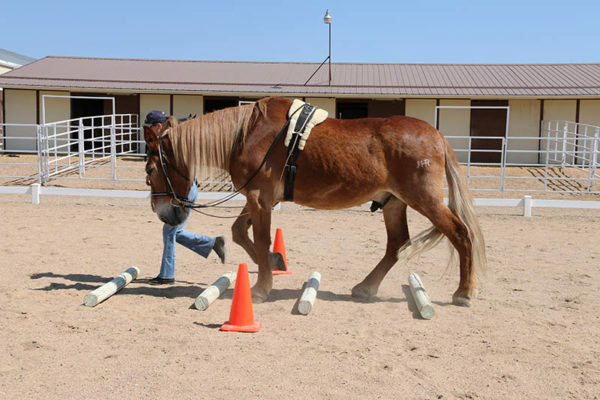 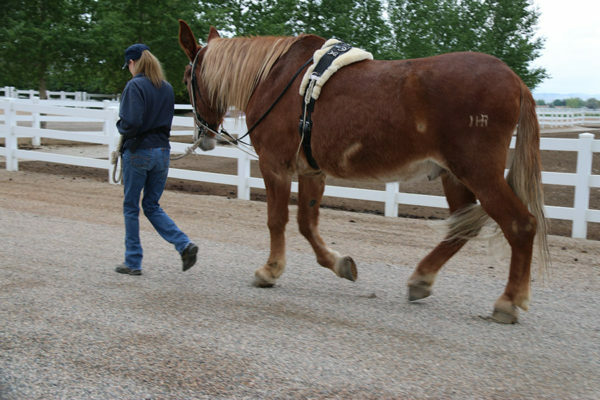 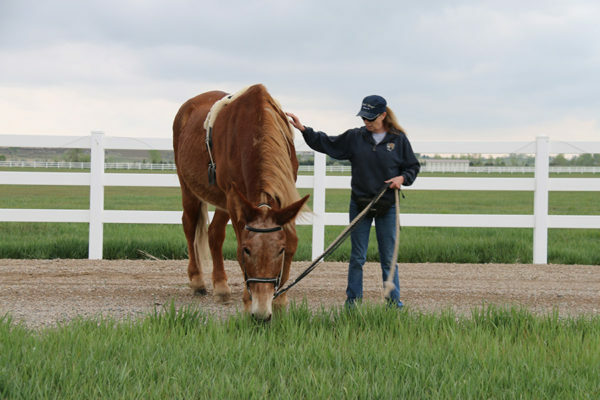 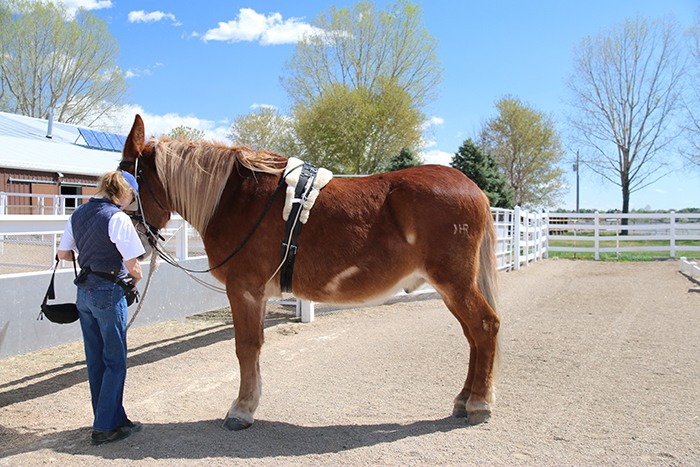 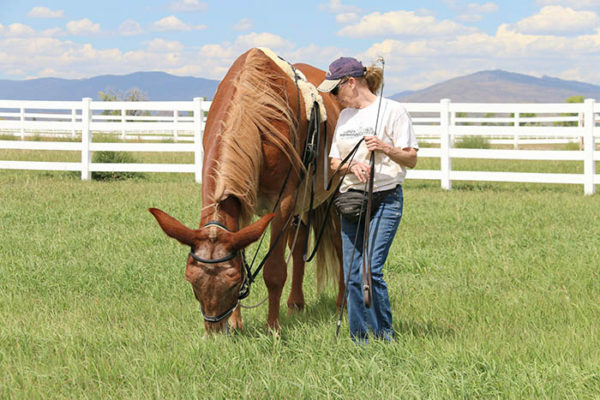 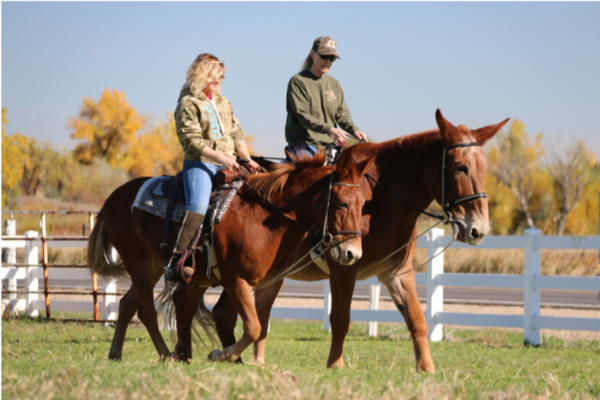 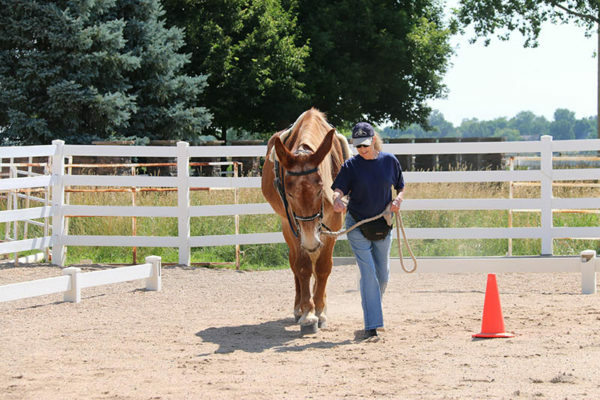 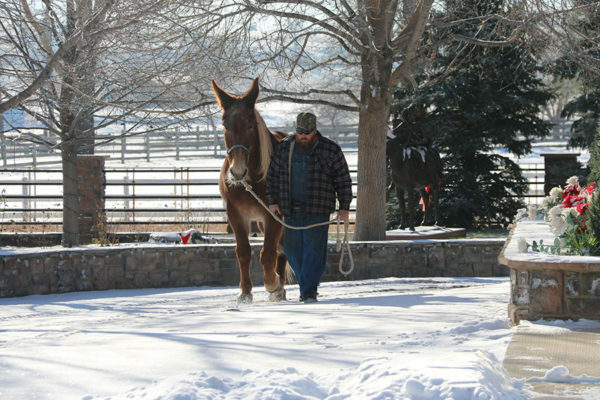 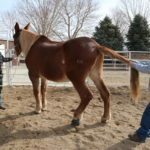 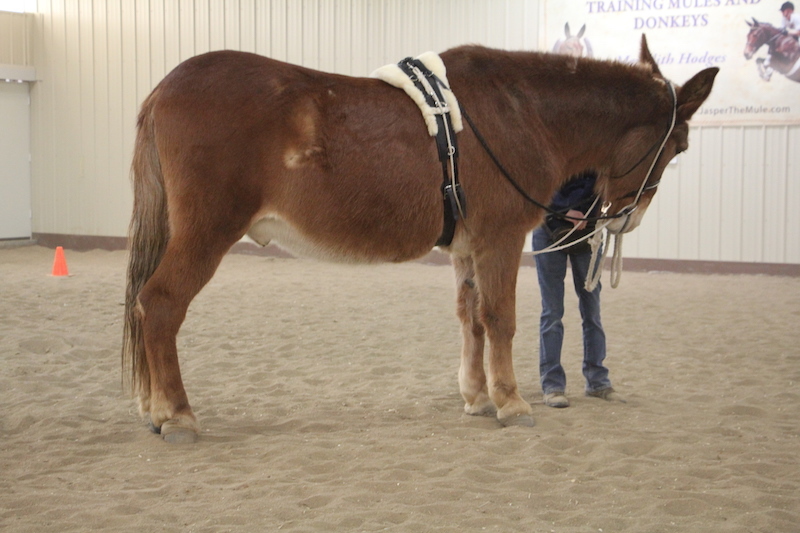 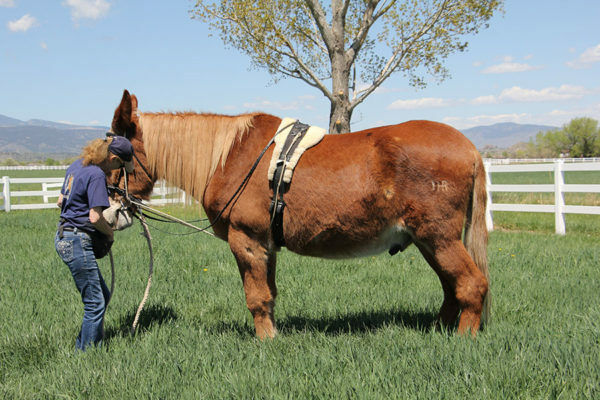 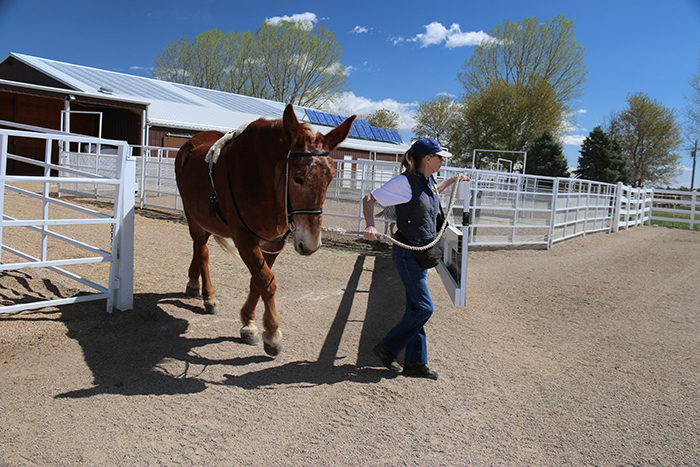 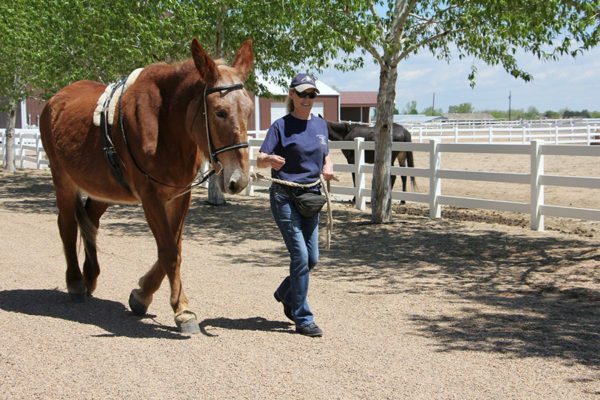 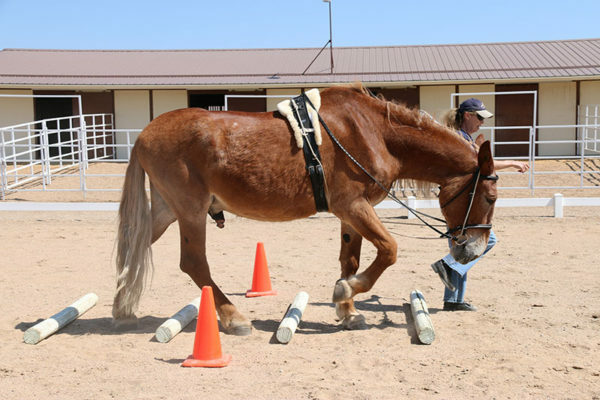 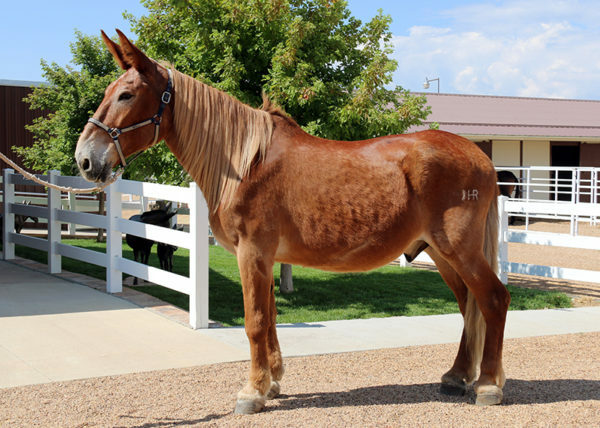 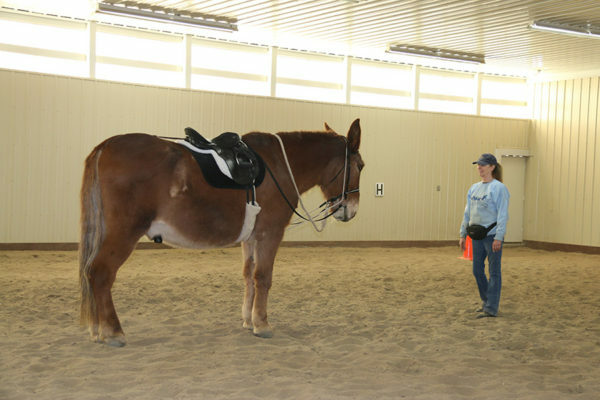 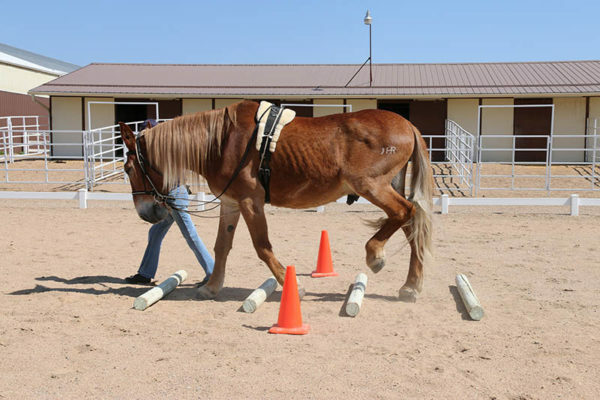 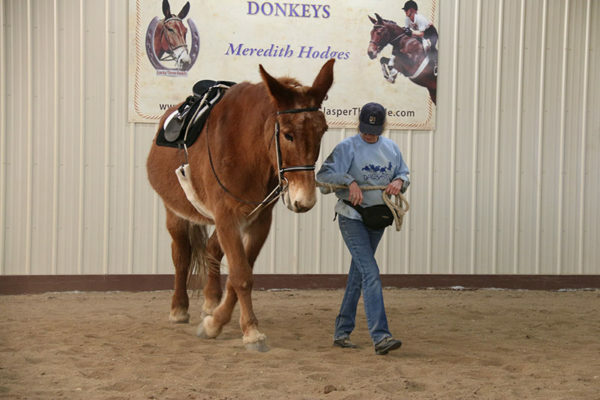 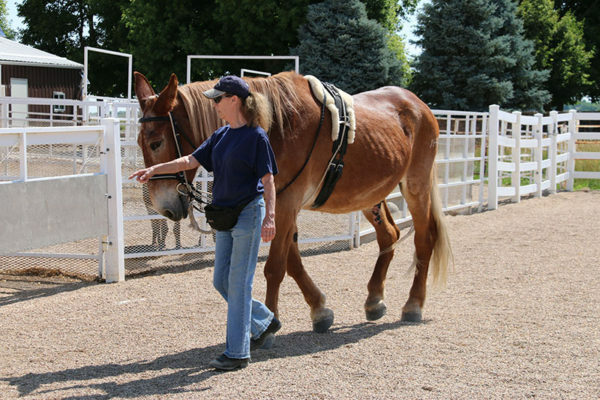 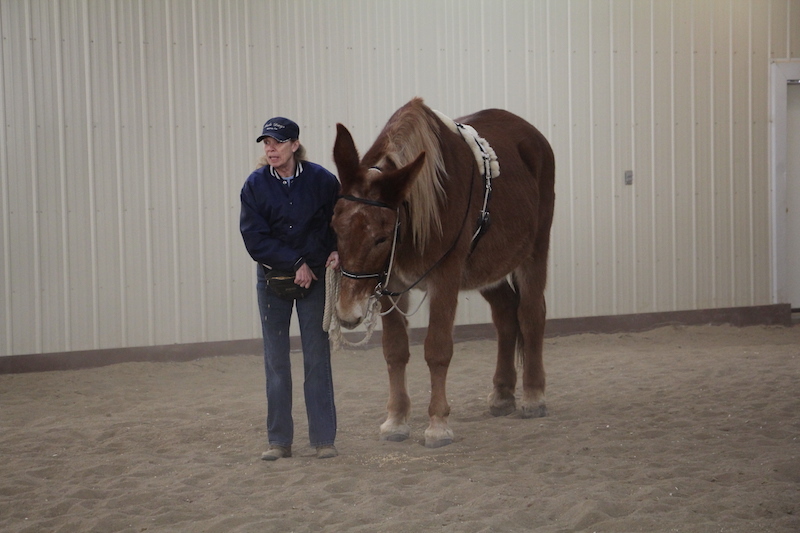 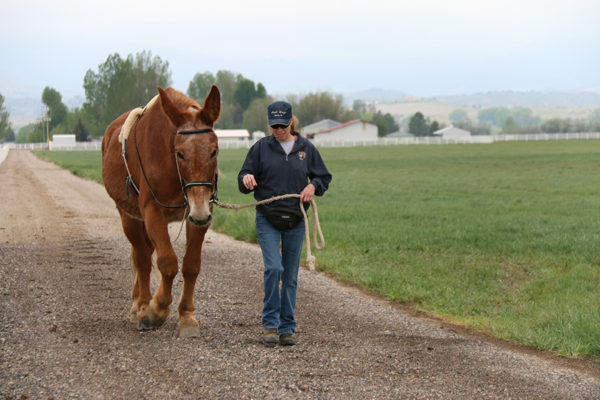 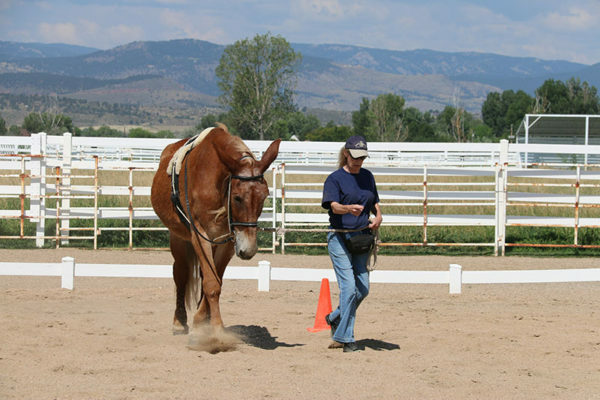 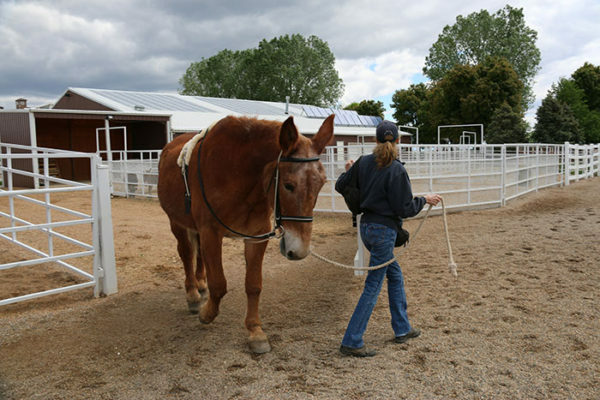 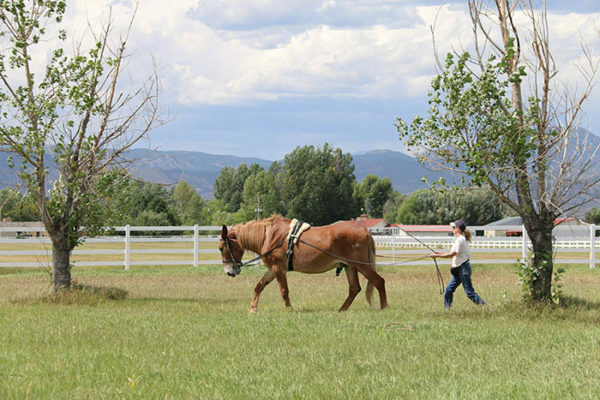 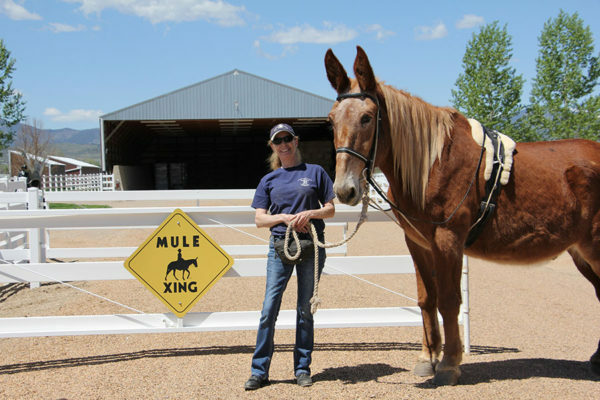 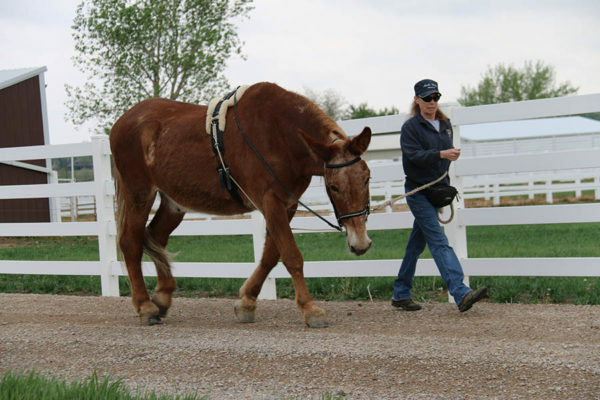 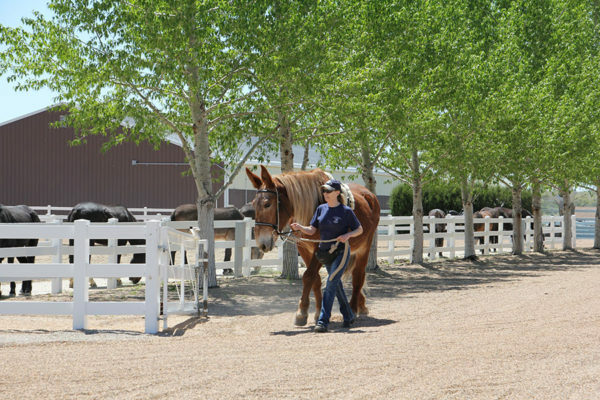 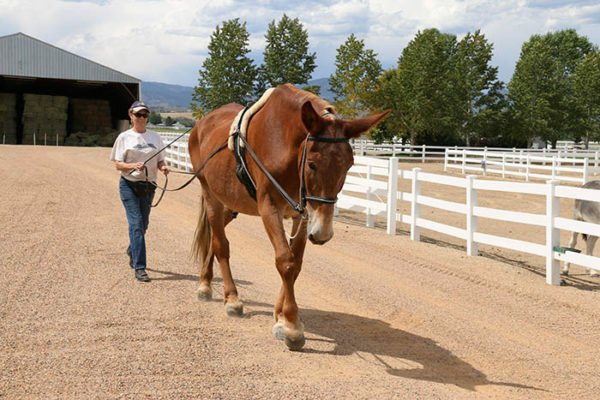 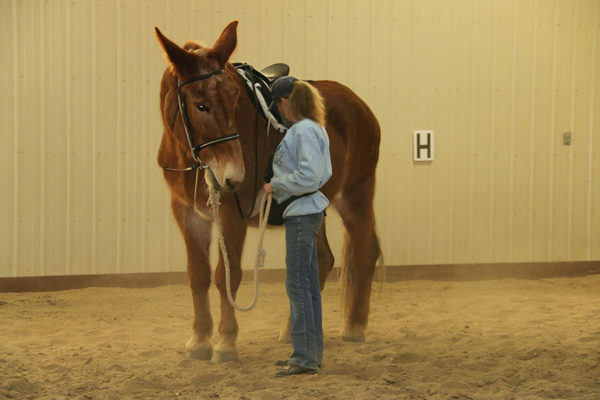 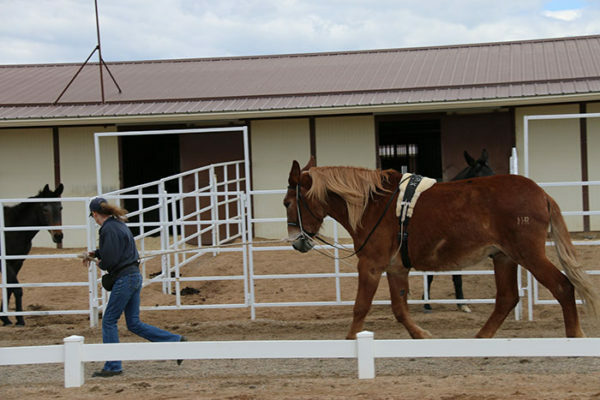 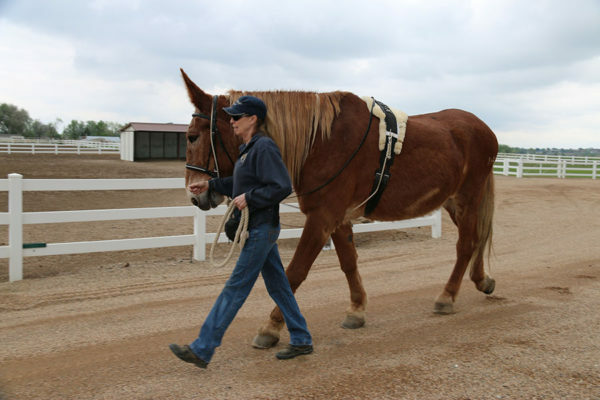 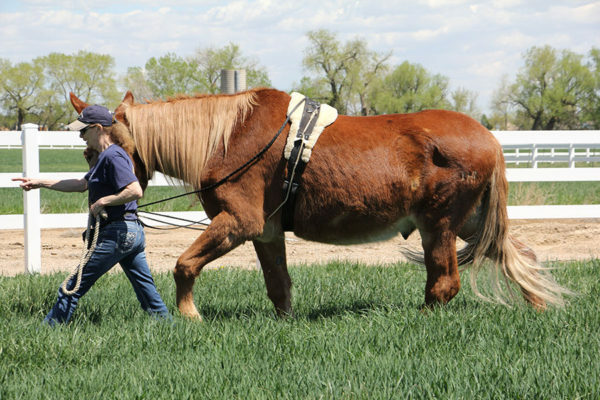 Once you have engaged in the exercises, you can begin to identify these very subtle nuances in the equine’s way of moving. 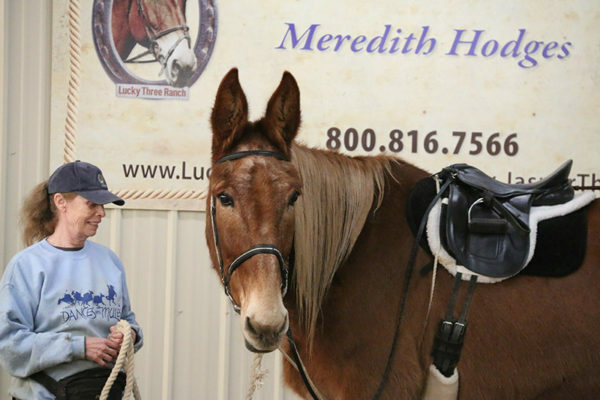 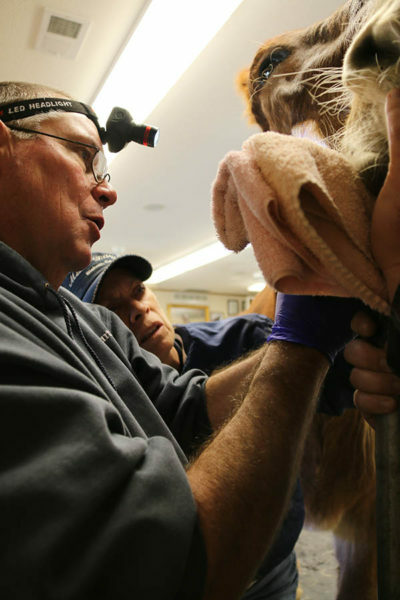 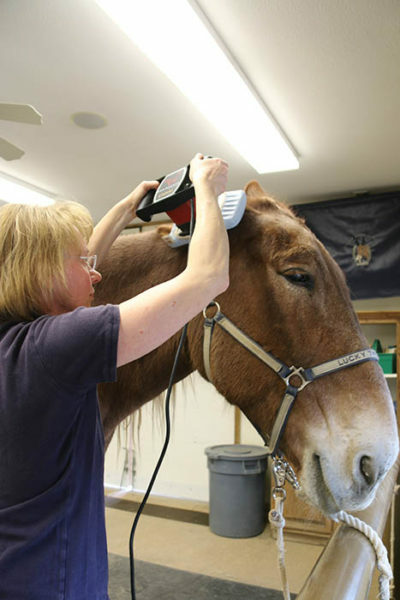 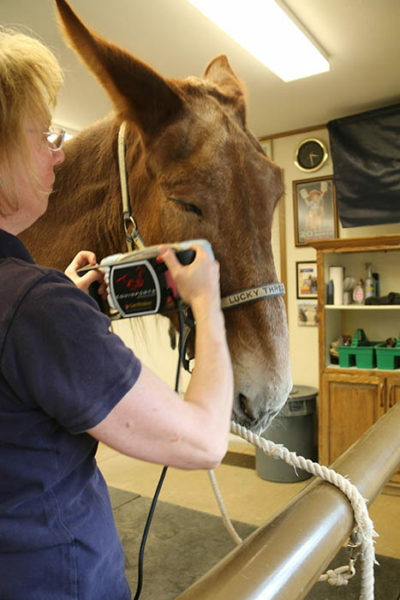 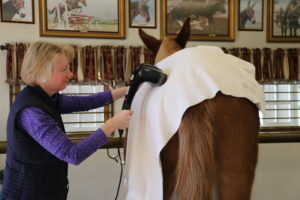 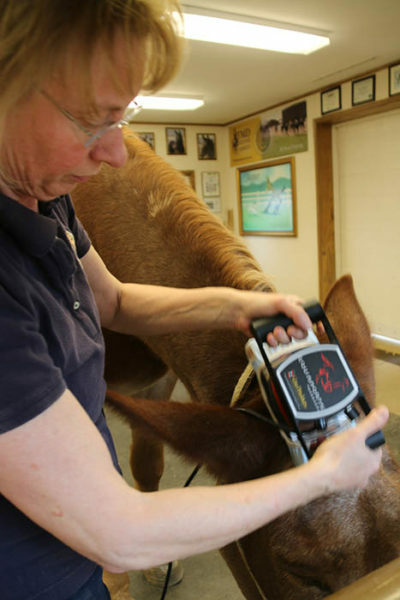 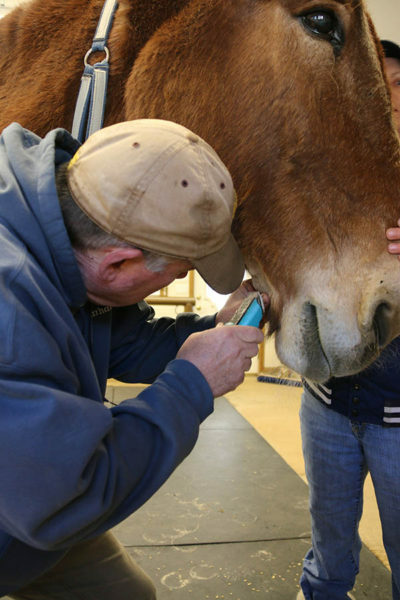 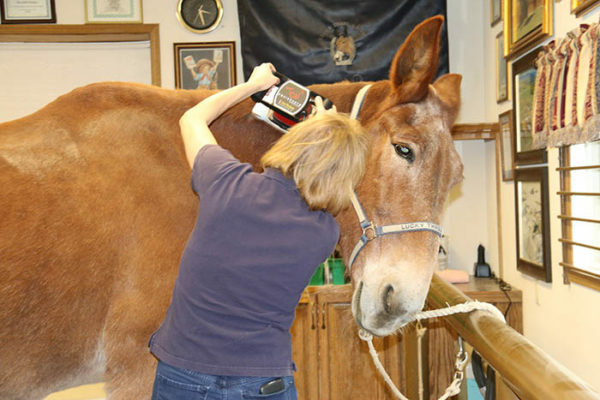 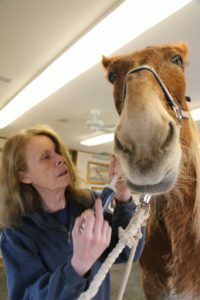 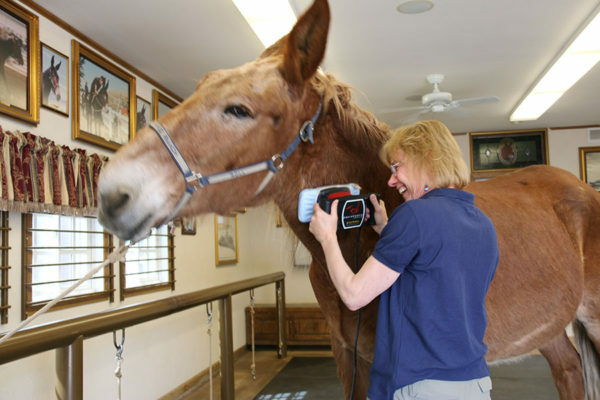 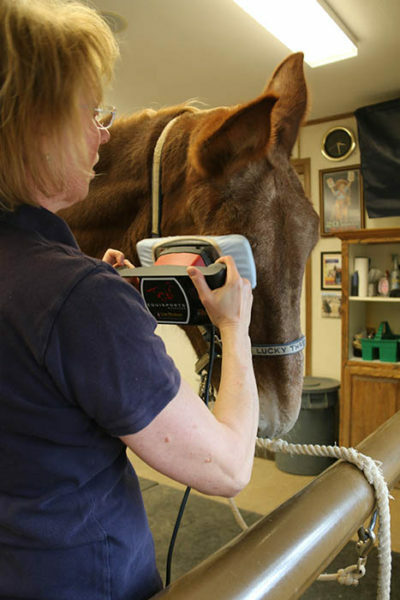 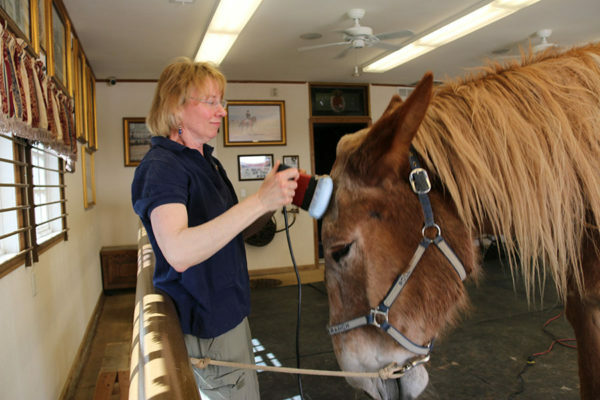 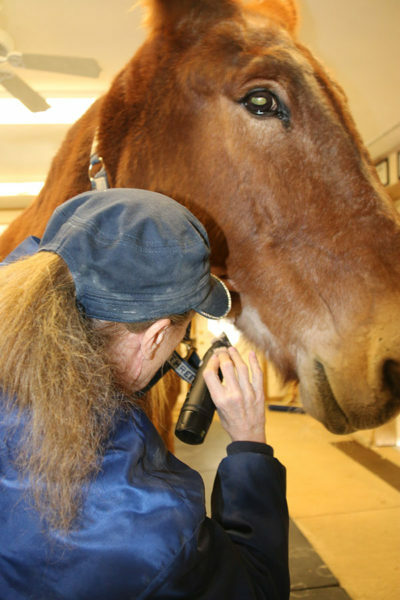 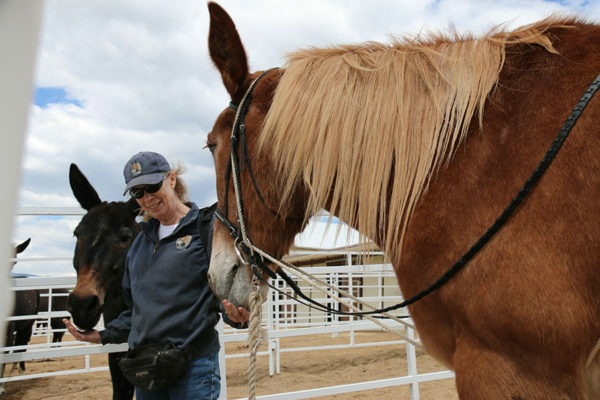 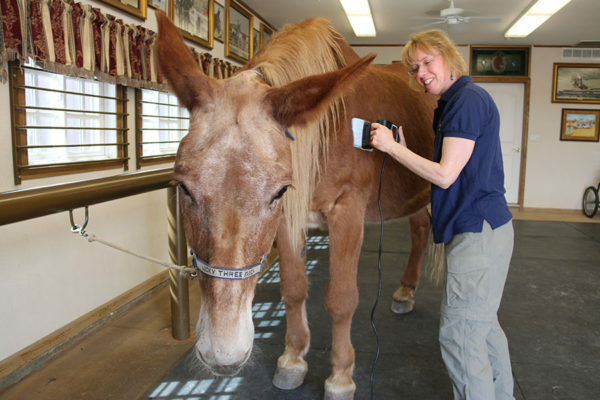 We often talk about “head sets” in the equine world and want our equines to be soft and supple in their poll, but what of the rest of the body? 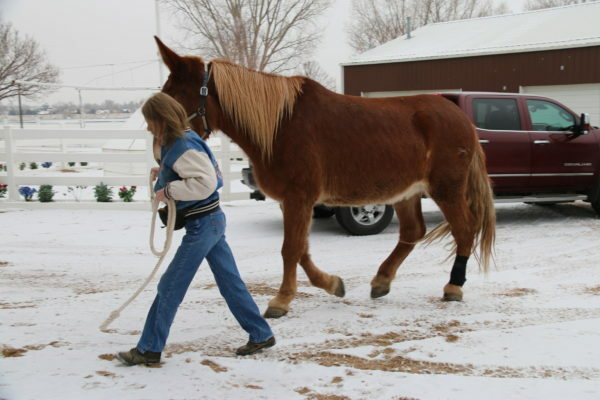 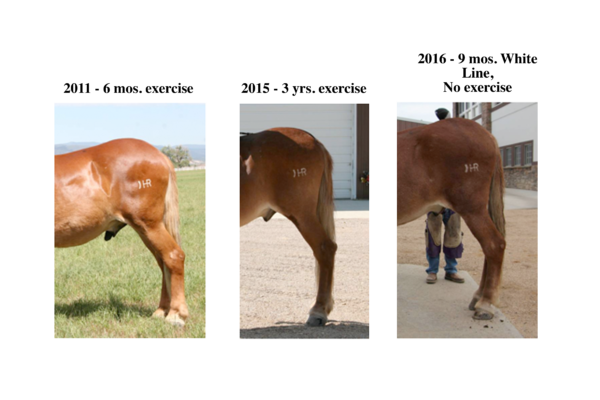 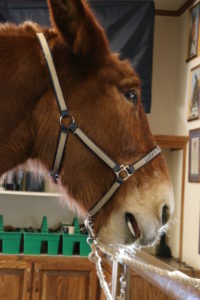 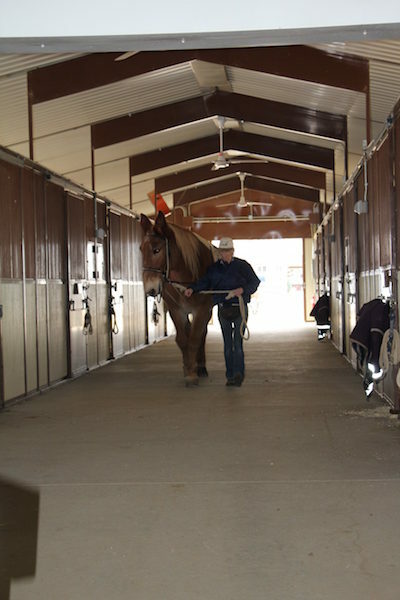 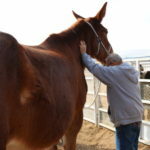 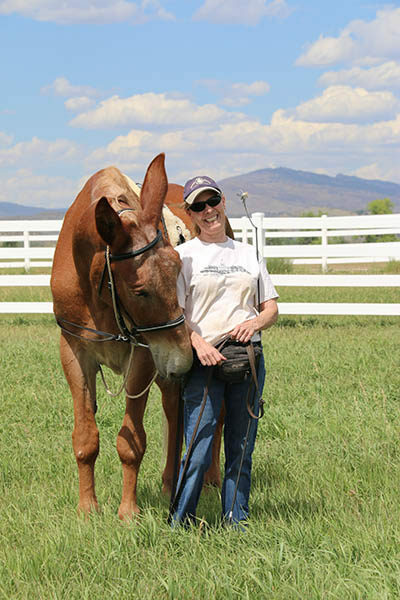 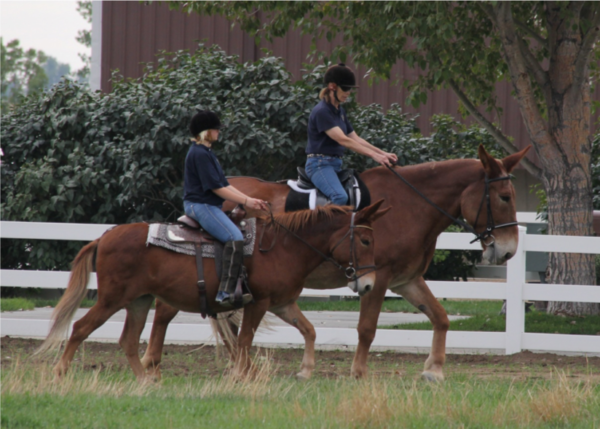 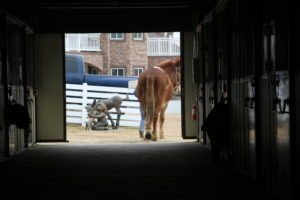 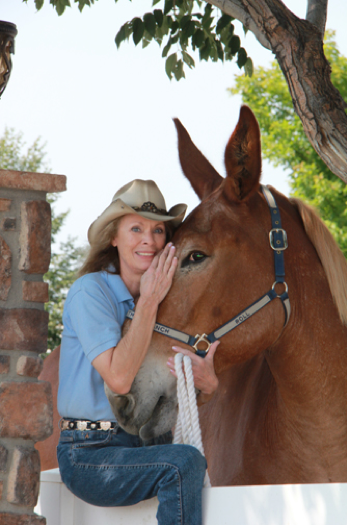 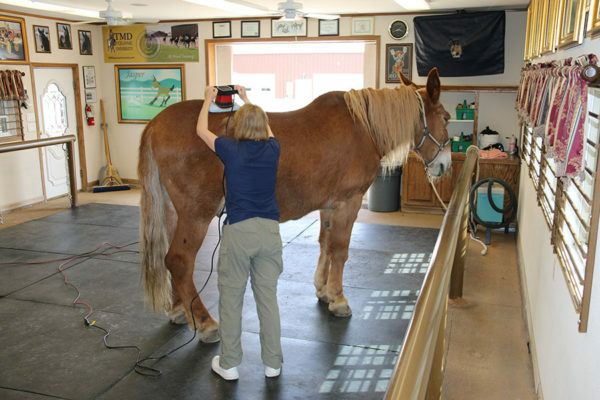 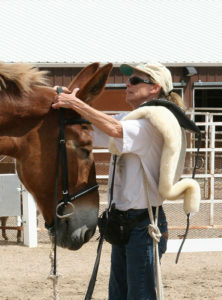 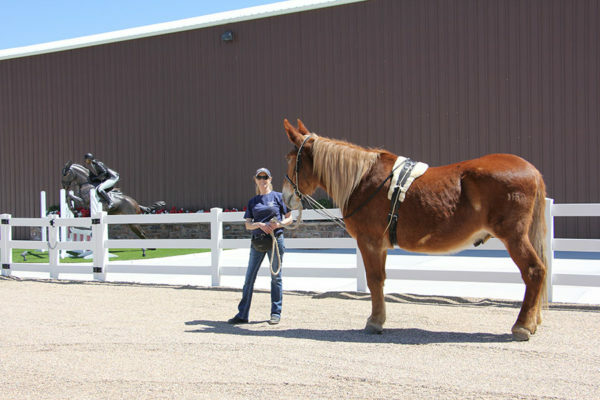 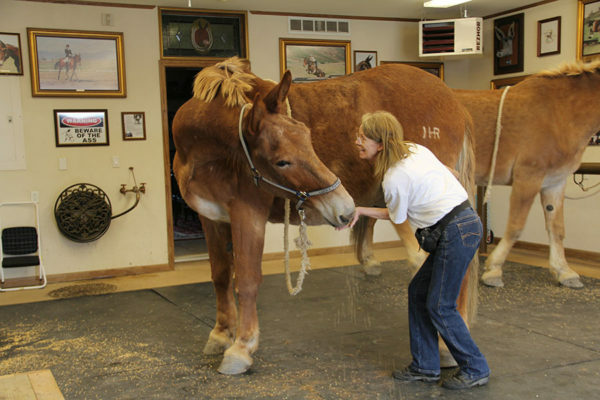 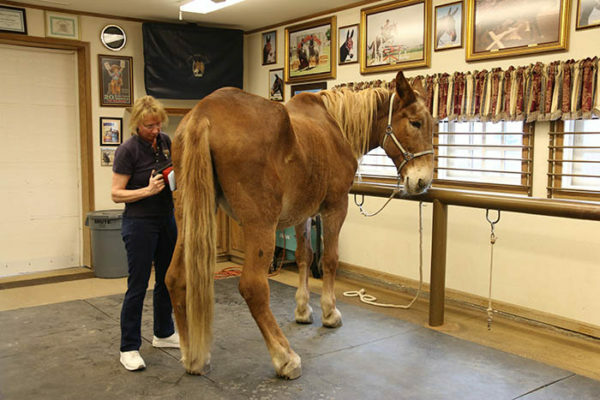 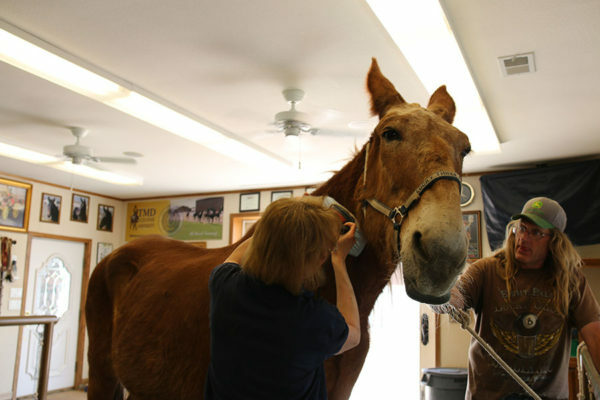 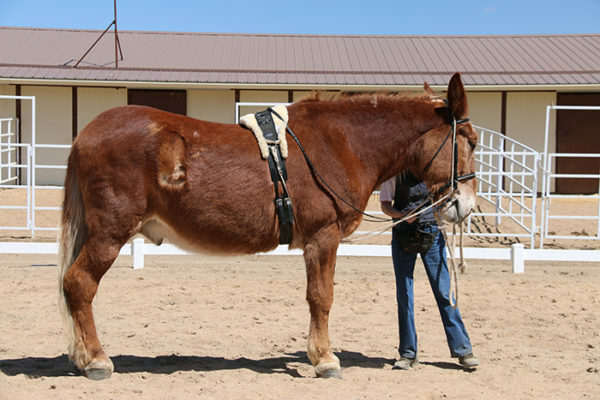 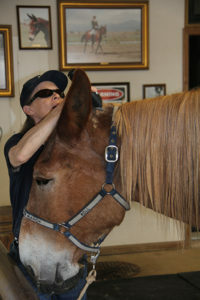 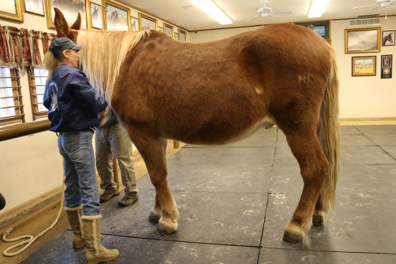 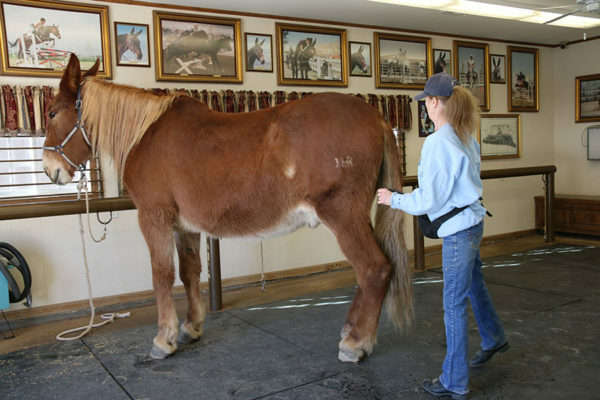 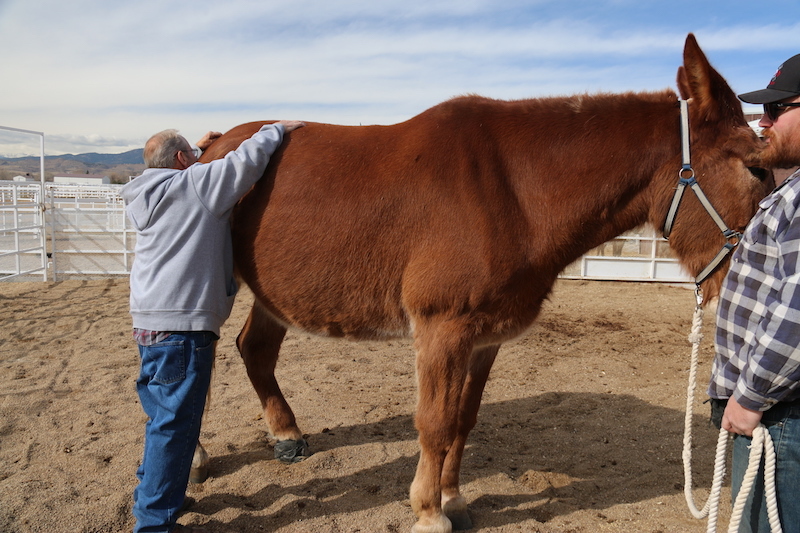 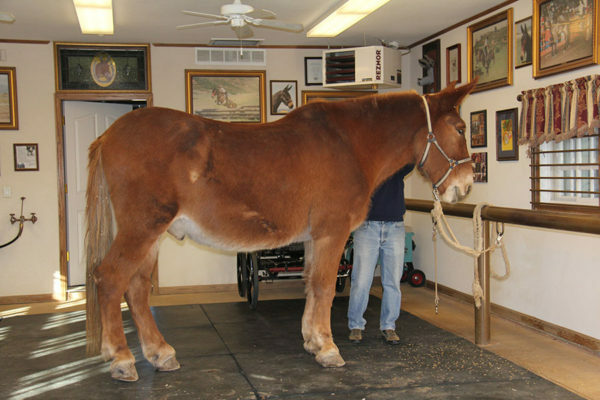 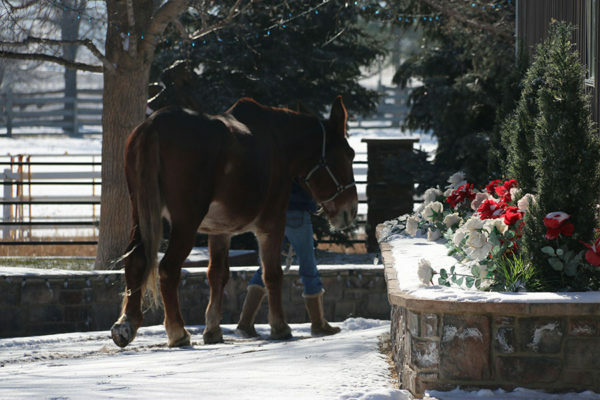 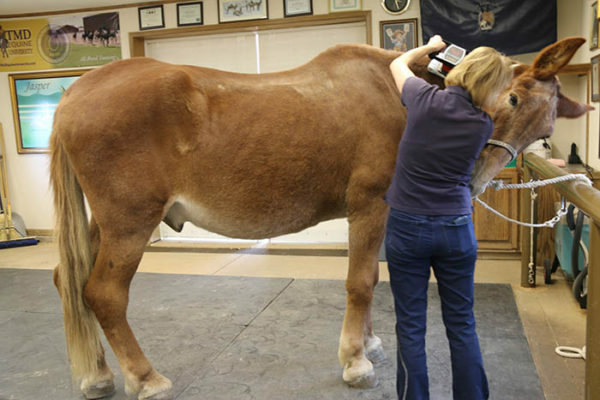 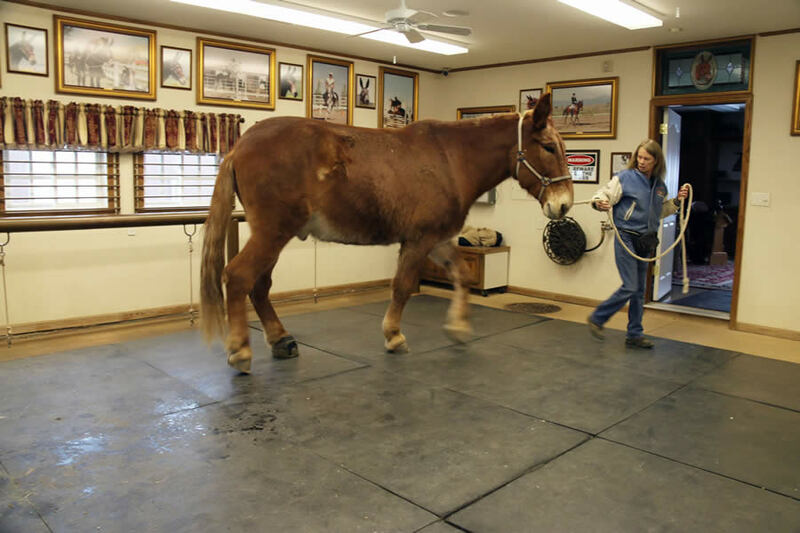 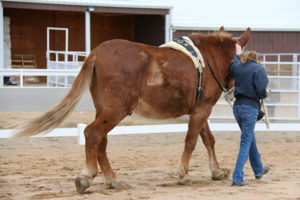 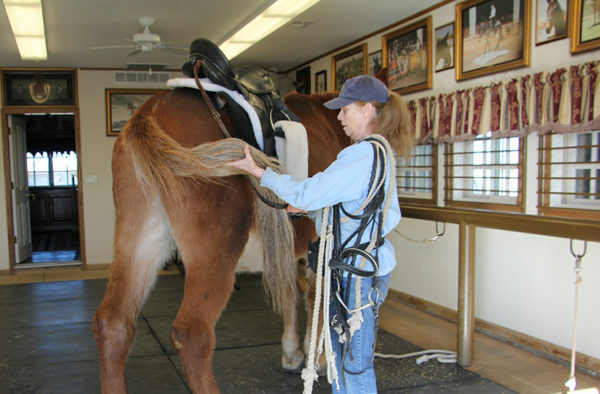 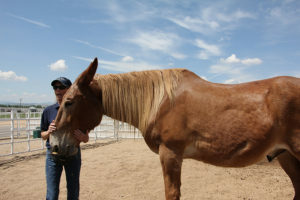 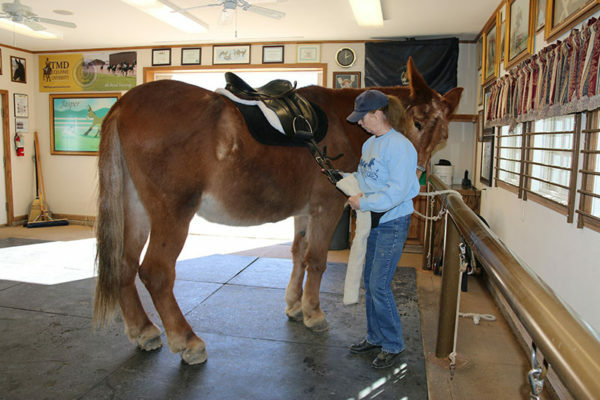 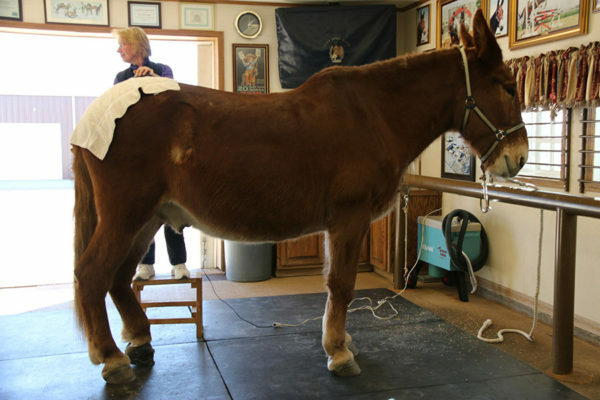 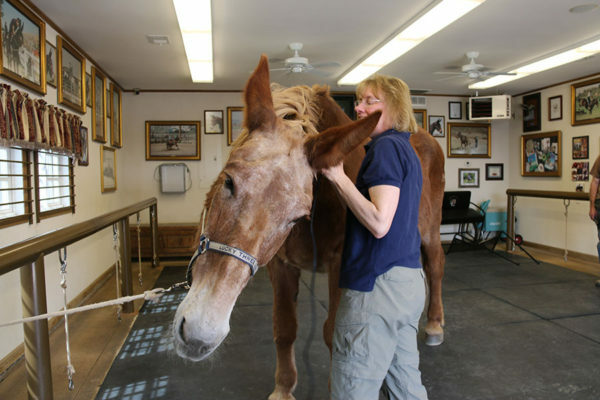 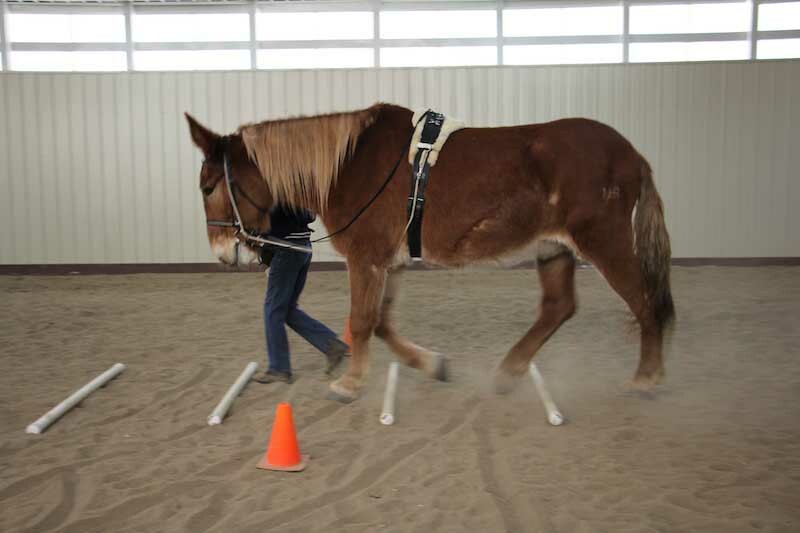 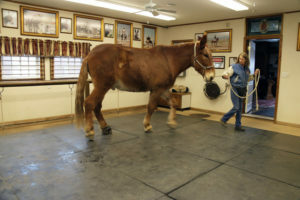 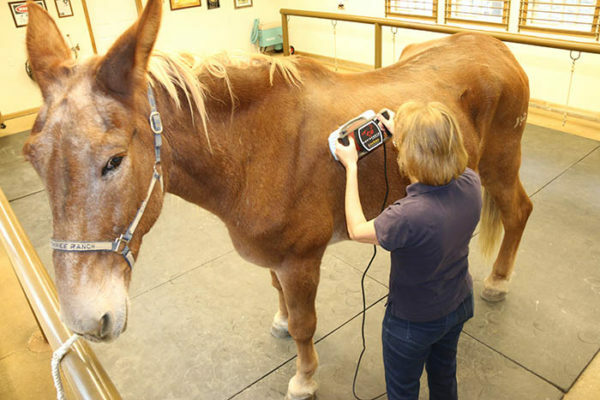 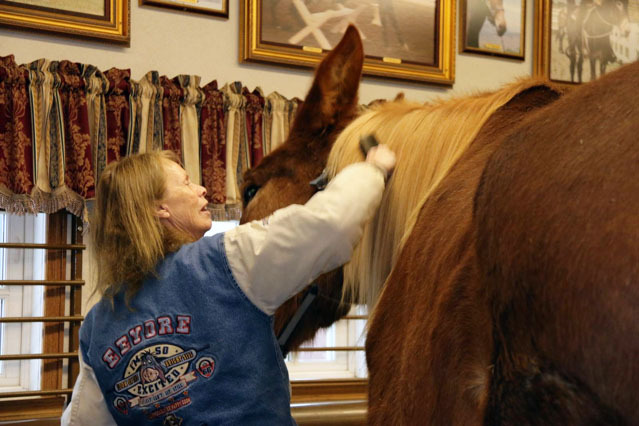 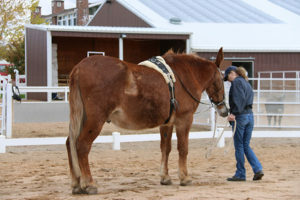 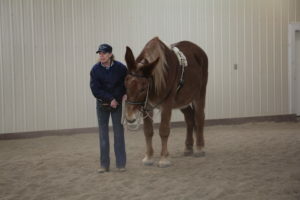 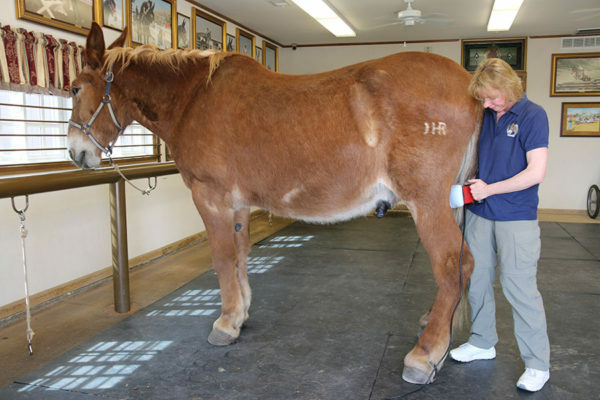 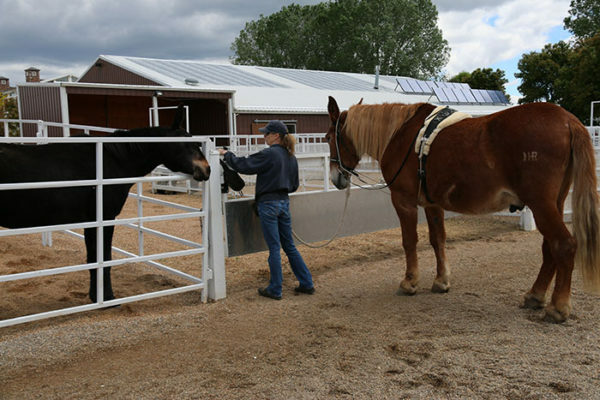 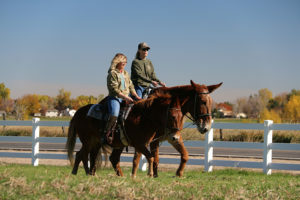 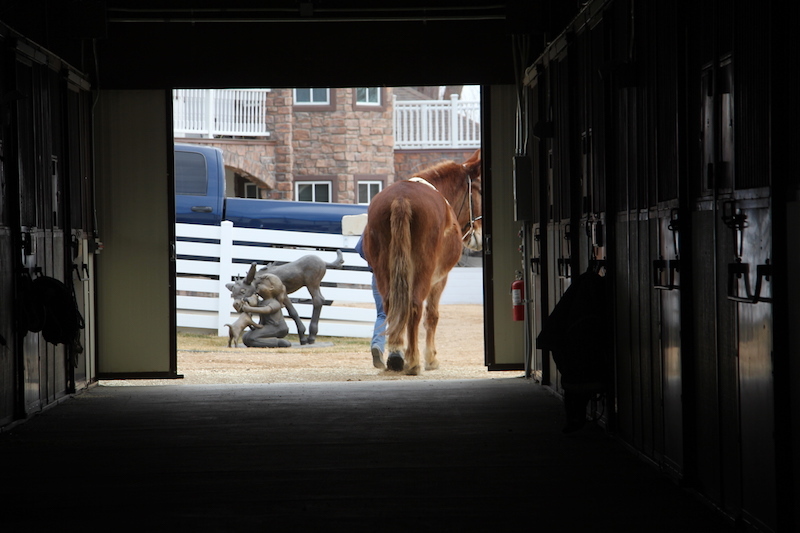 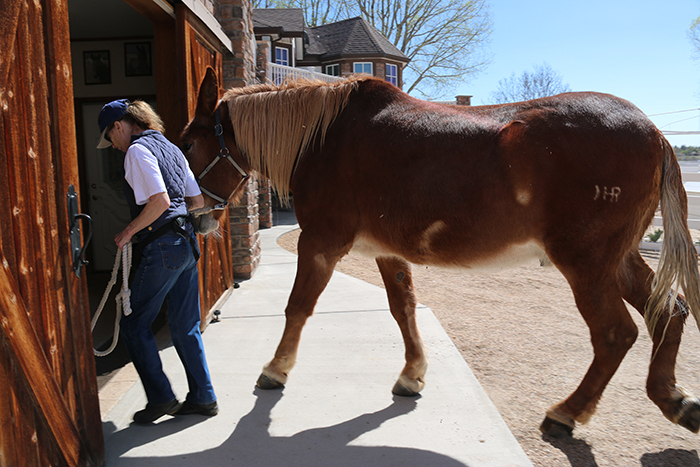 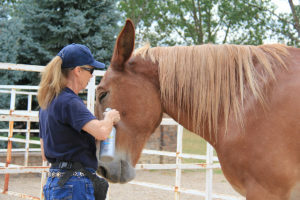 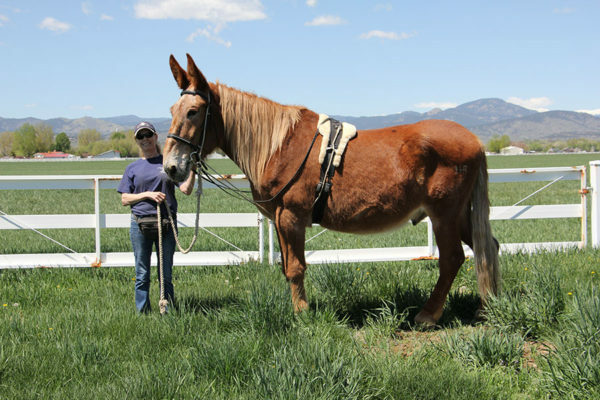 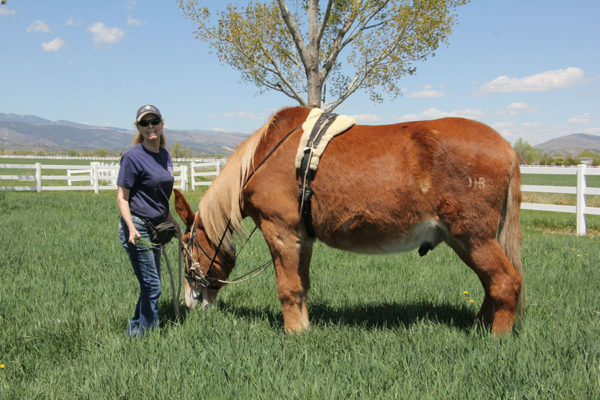 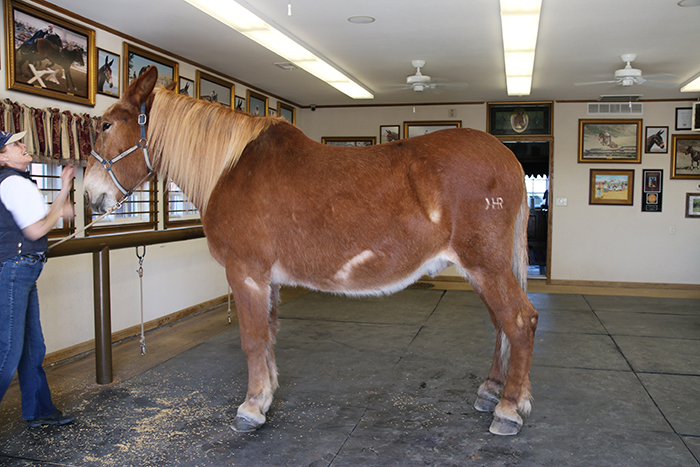 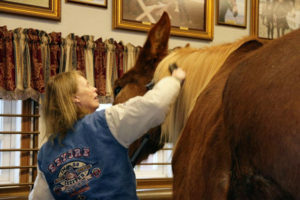 When the body is truly in good postural balance, it is easy for the equine’s WHOLE BODY to perform as it was intended. 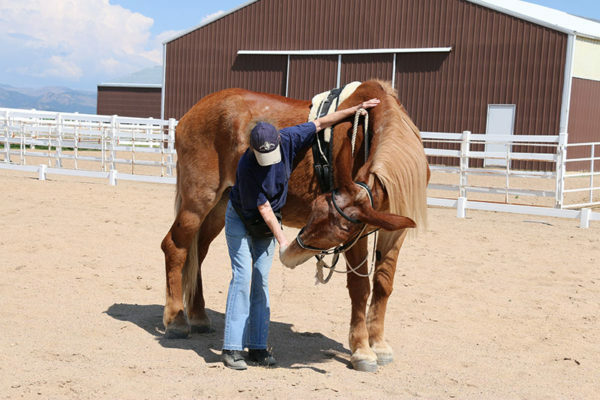 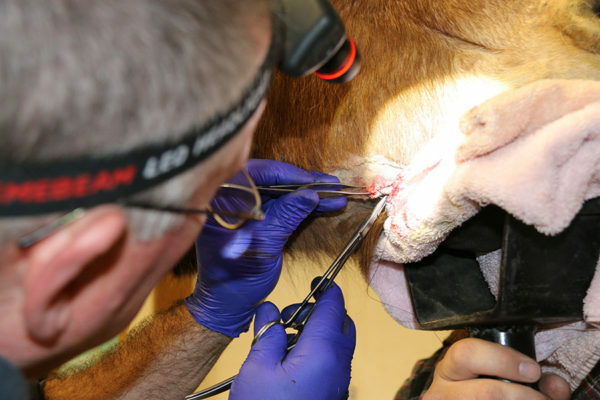 The animal is soft and pliable throughout his body and you will begin to notice when they are using their whole body and when there are compromised segments. 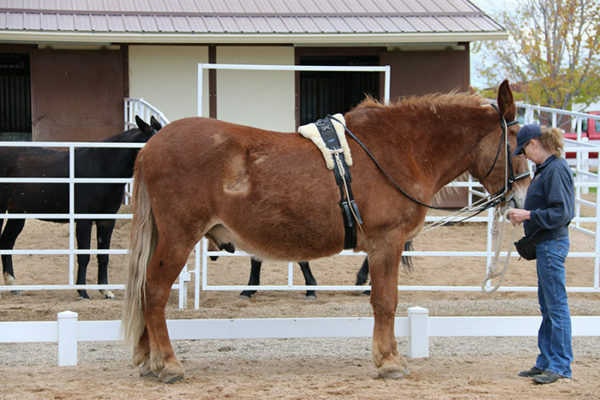 The easiest thing to see is how an animal with adequate core strength will use ALL his muscles such that you can actually see the muscles rippling in motion over the ribs. 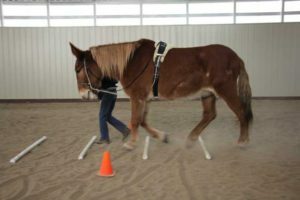 The animal without core strength will be stiff and immobile over the ribs and the legs will move underneath the body, but neither adds support nor fluidity to his movement. 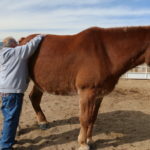 ROLL is living proof of this drastic difference in conditioning. 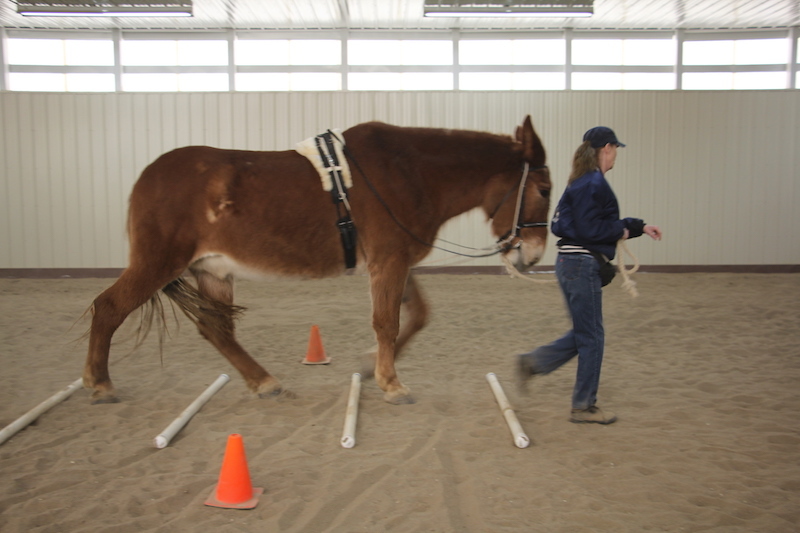 …and then backed a few steps, all evidence of his own good postural body carriage. 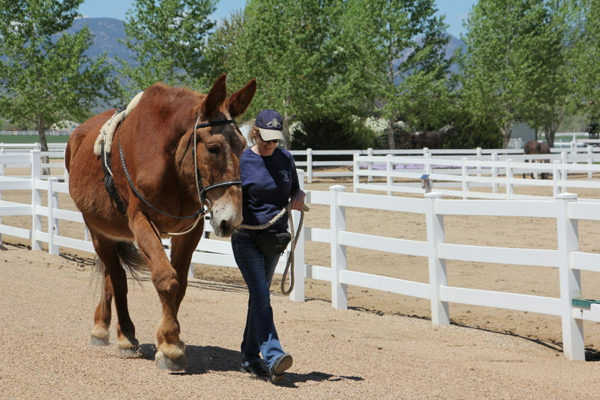 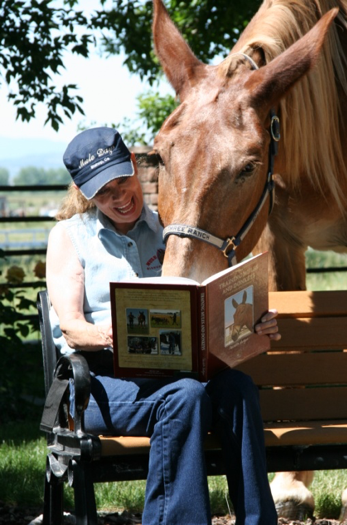 I am so pleased that Roll is doing so well at 26 years old! 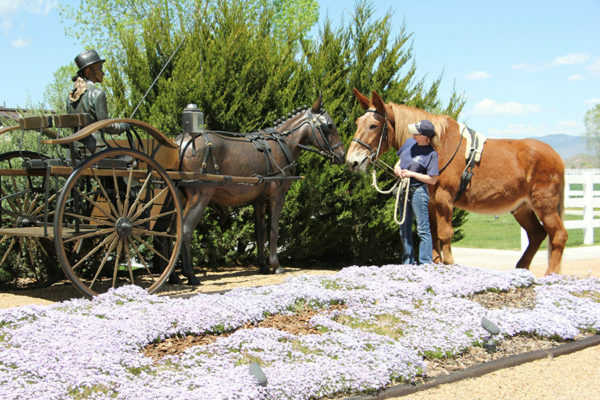 See our draft mules, Rock and Roll at work and play in the latest LTR Presents video!